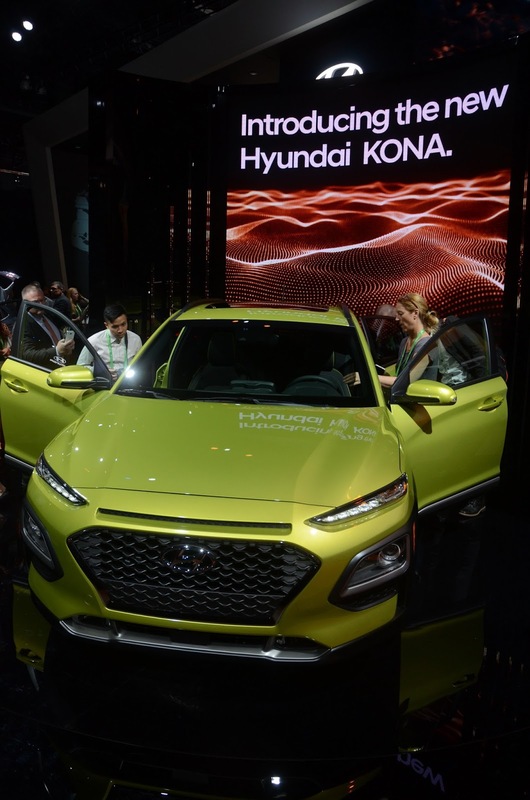 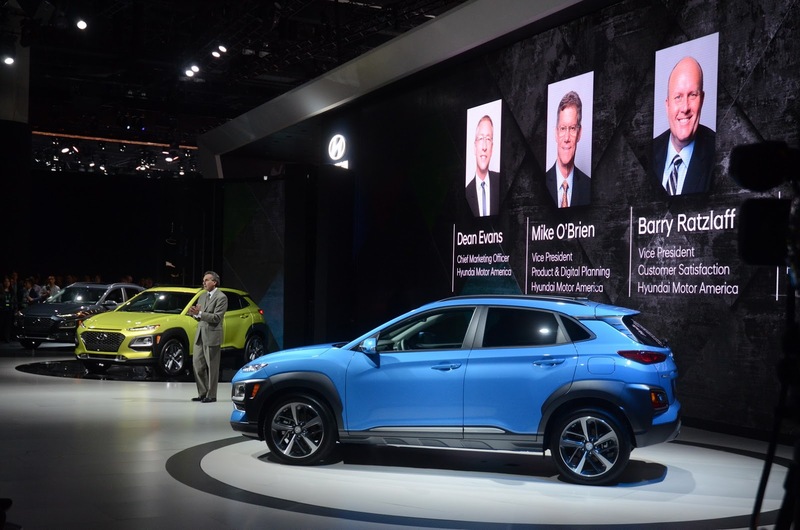 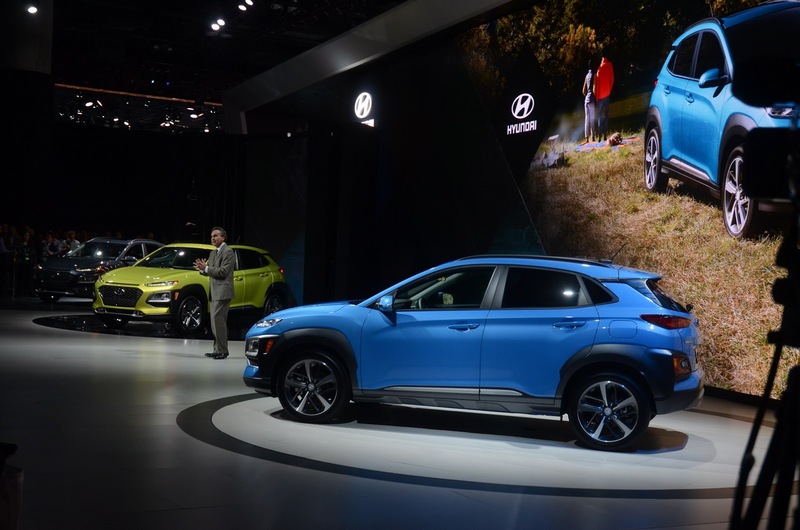 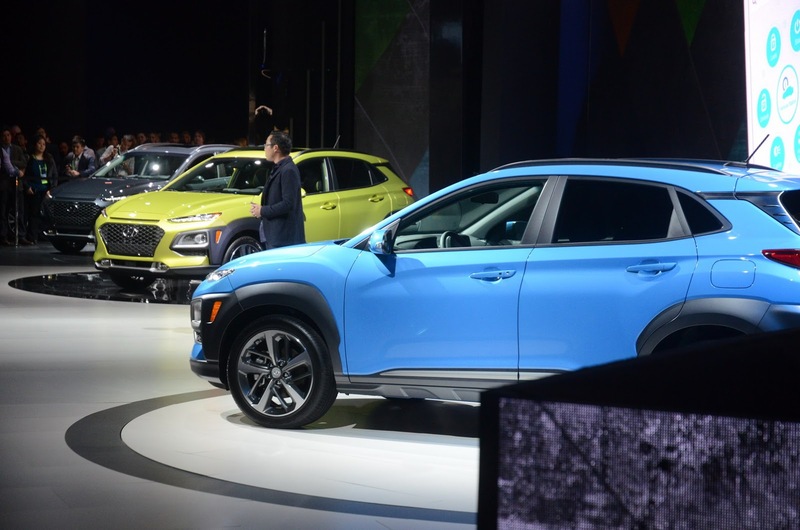 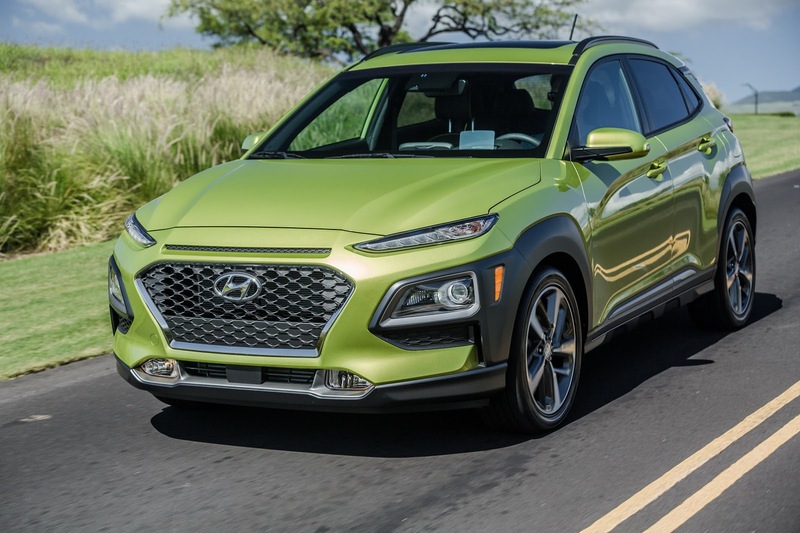 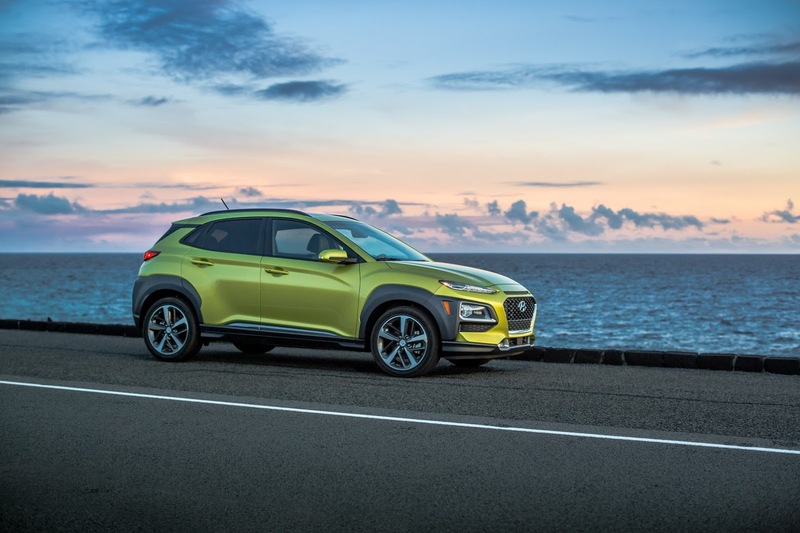 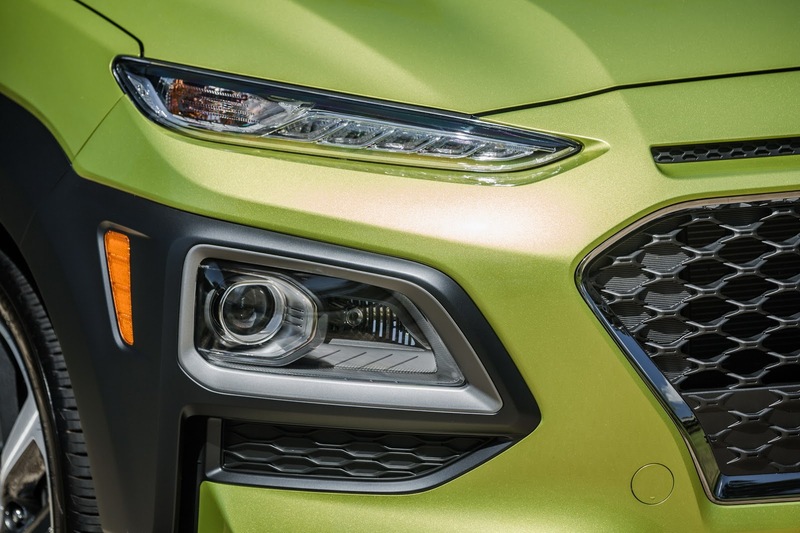 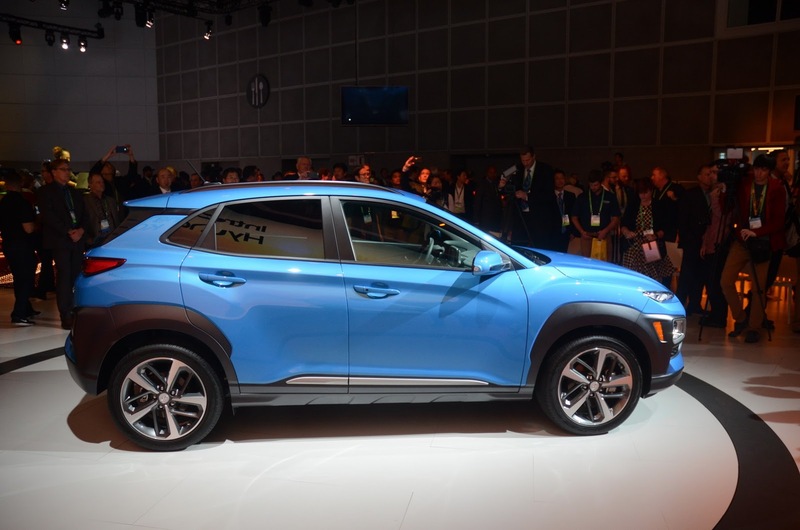 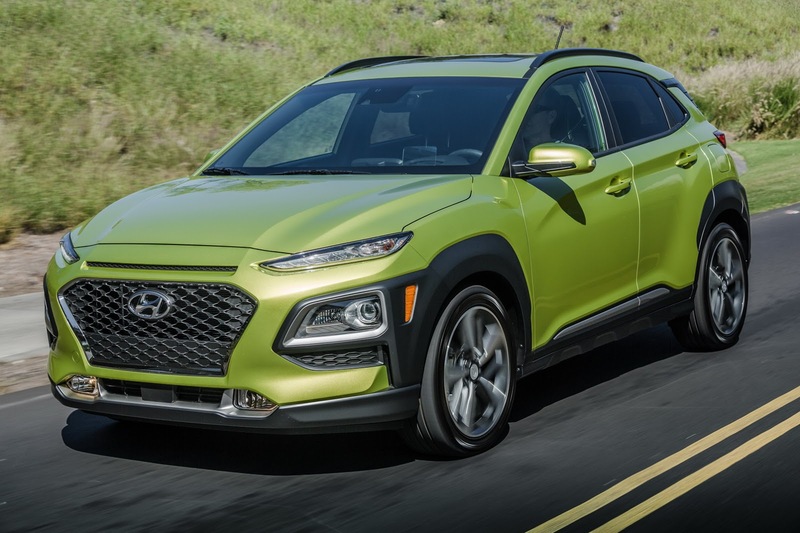 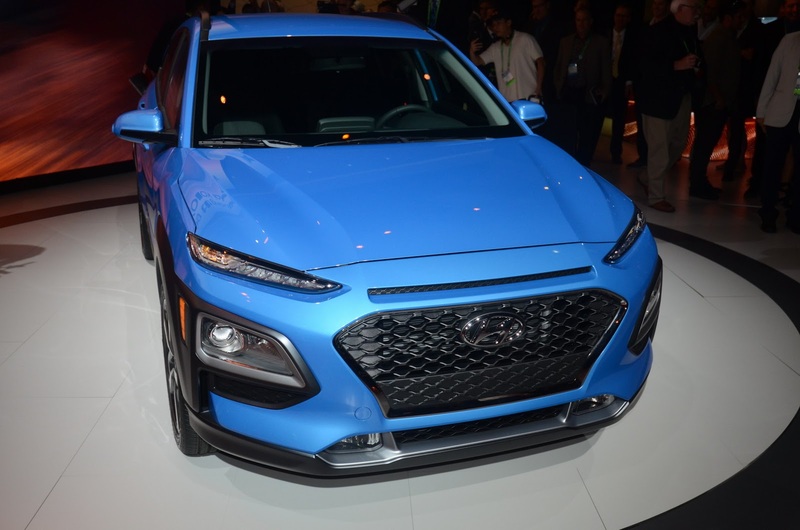 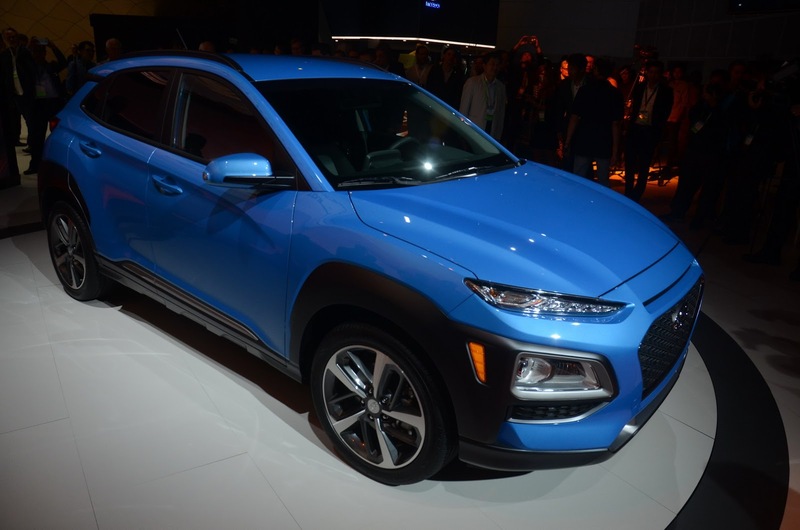 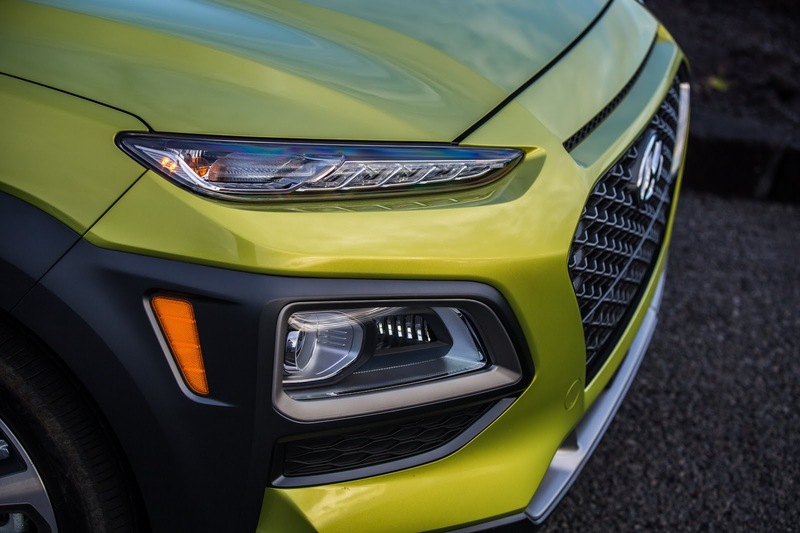 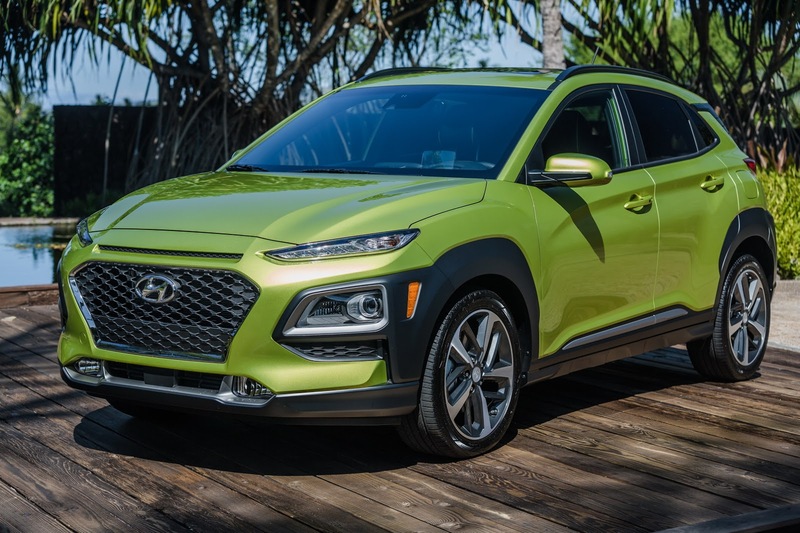 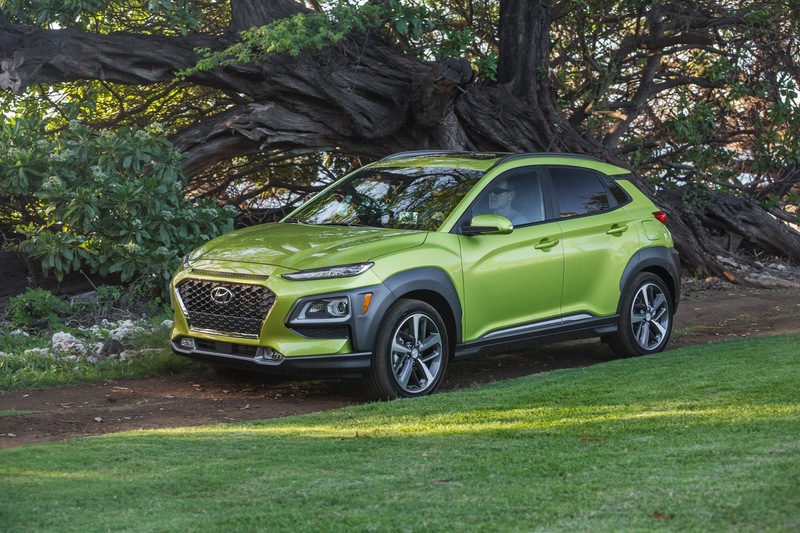 The US-spec Hyundai Kona made its debut at this year’s LA Auto Show, bringing its quirky looks to a segment that appears to be growing by the second these days. 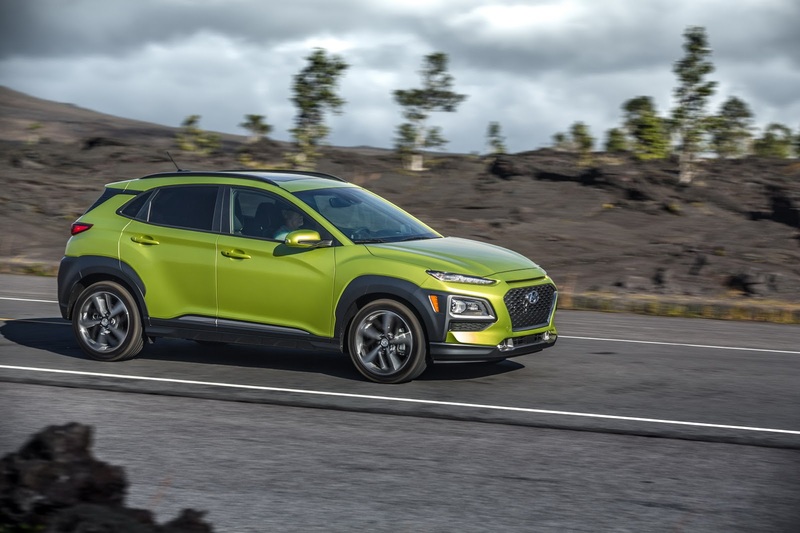 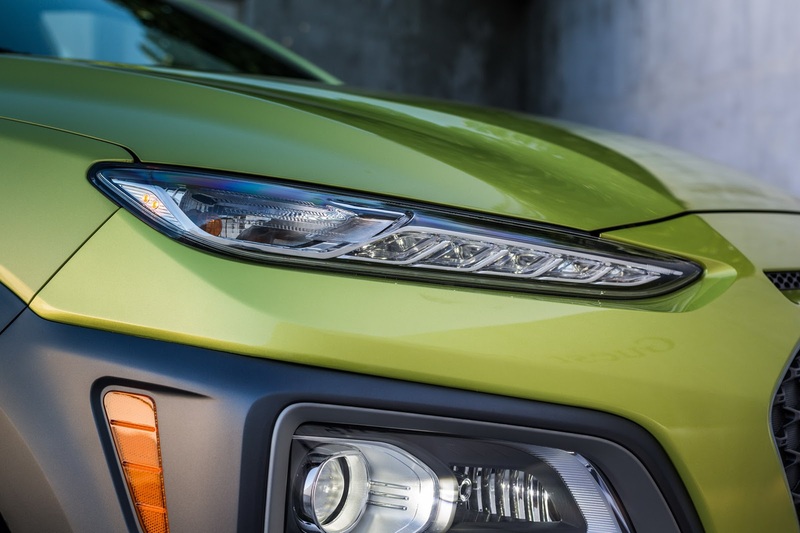 The exterior styling remains pretty much unchanged, meaning a compact muscular shape defined by its plastic cladding on the sides and the unusual headlight setup, making the new Hyundai Kona a very different proposition indeed. 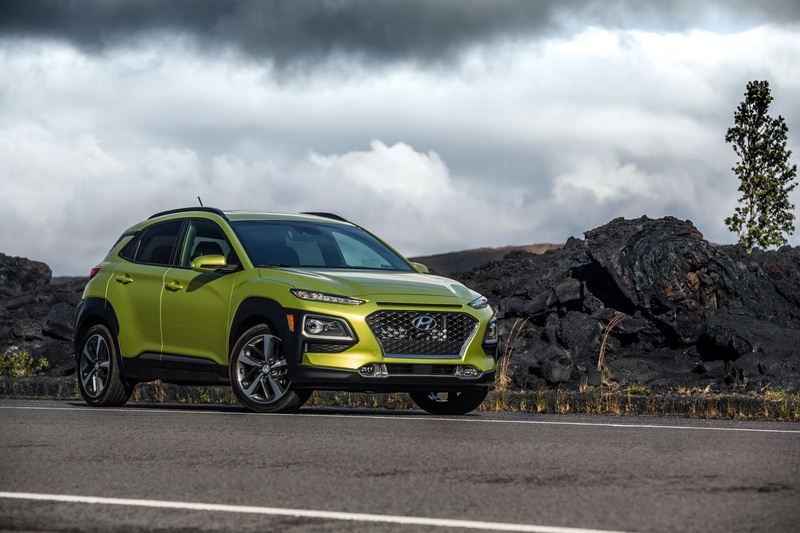 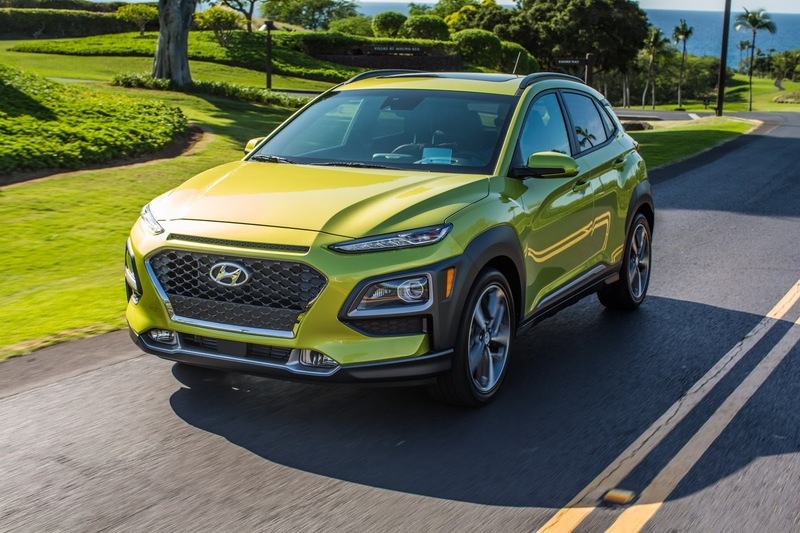 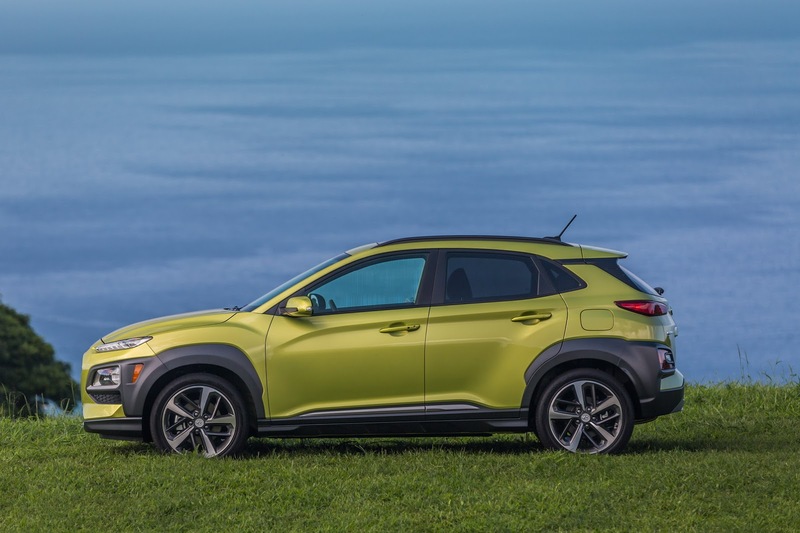 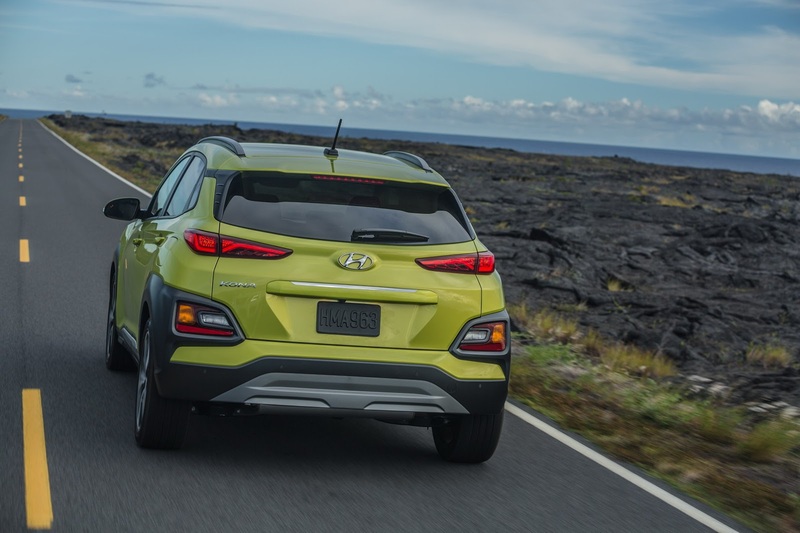 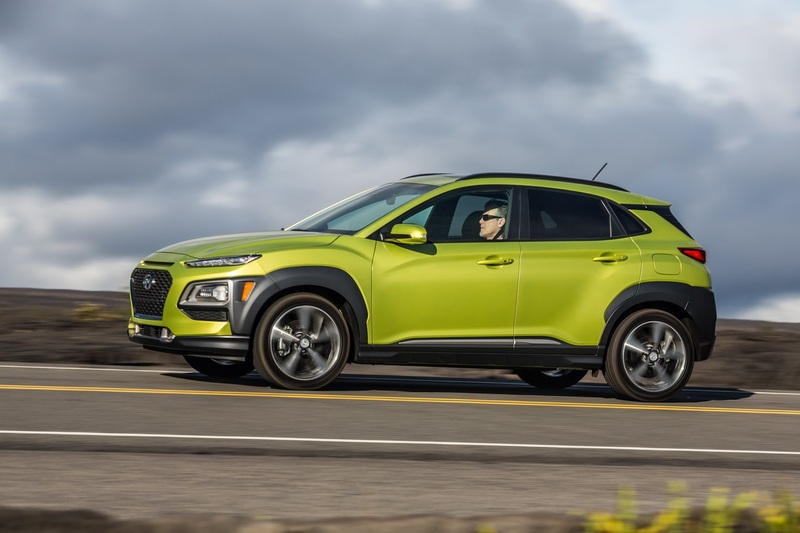 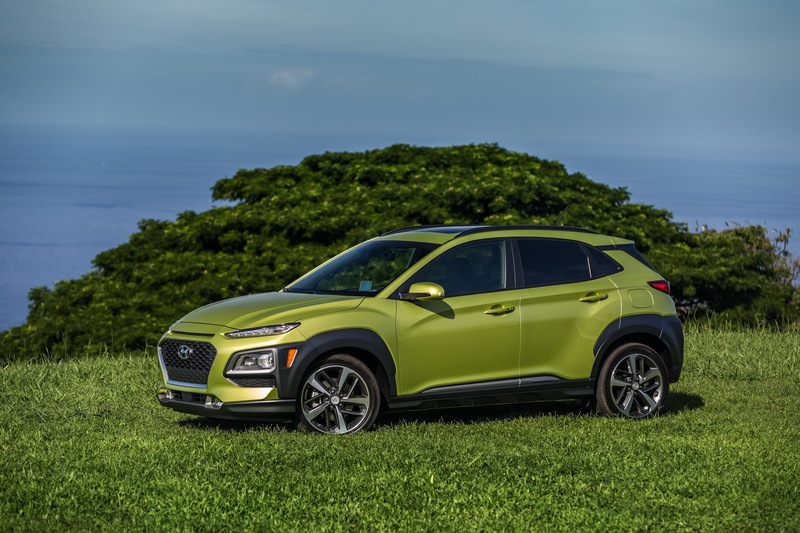 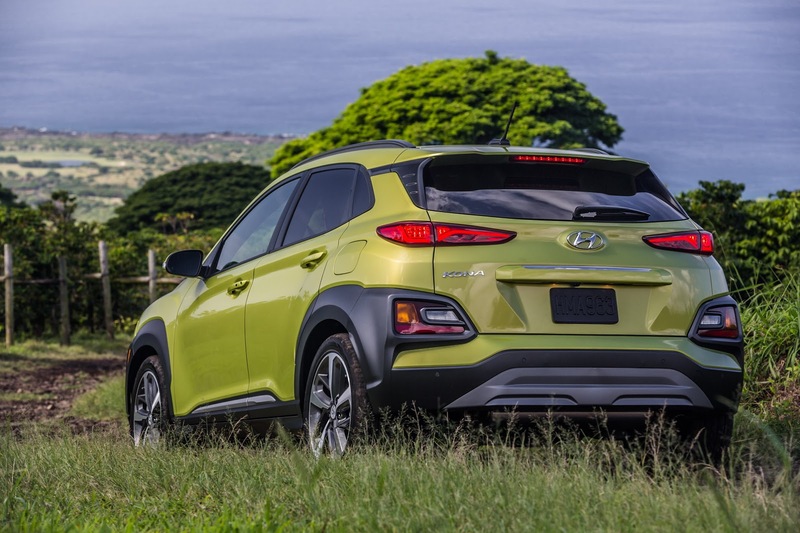 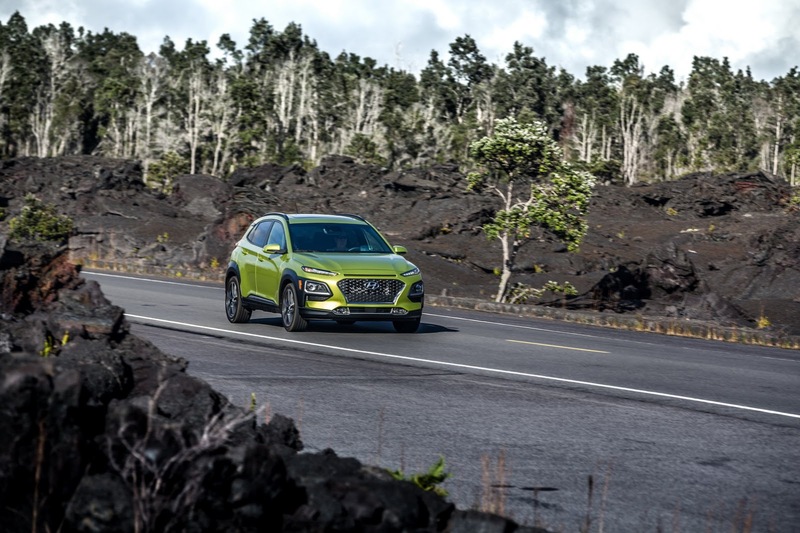 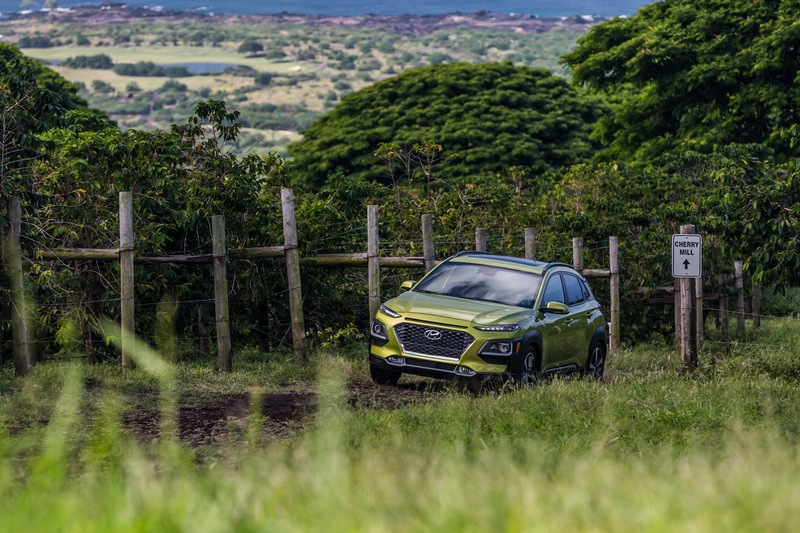 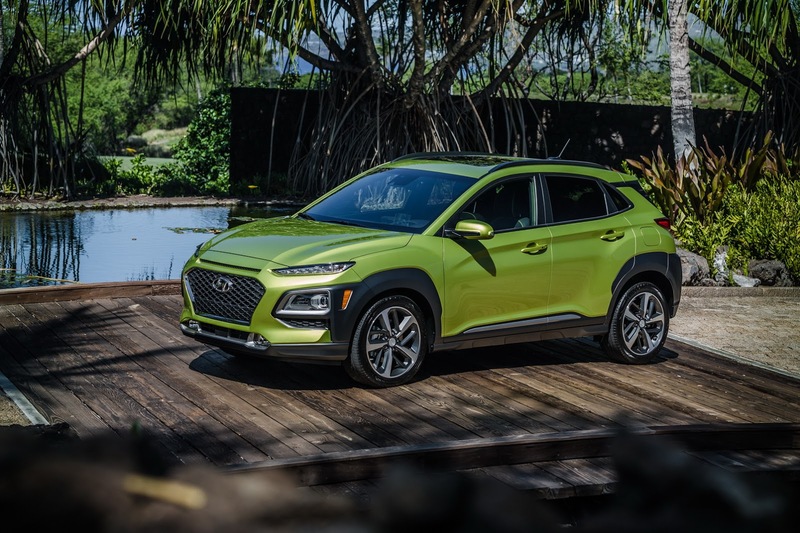 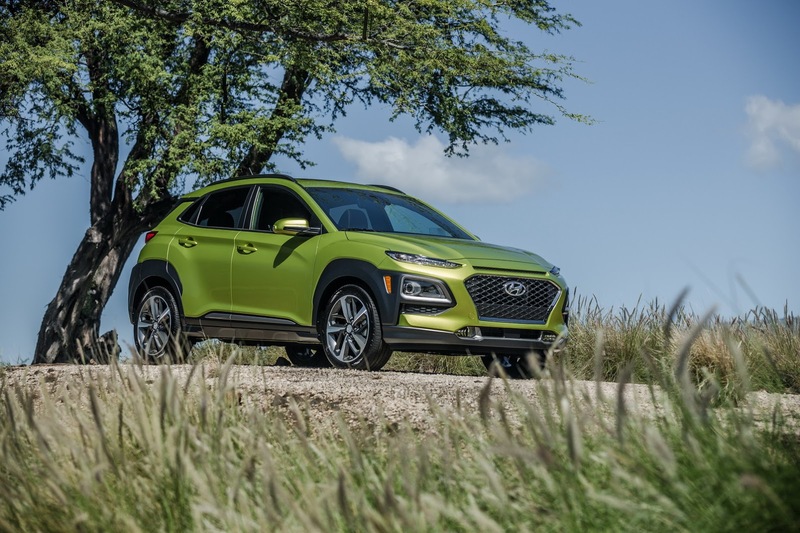 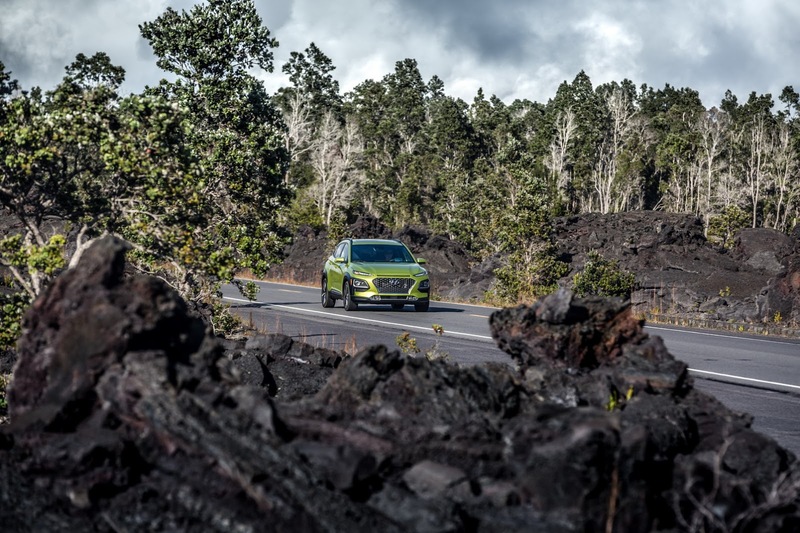 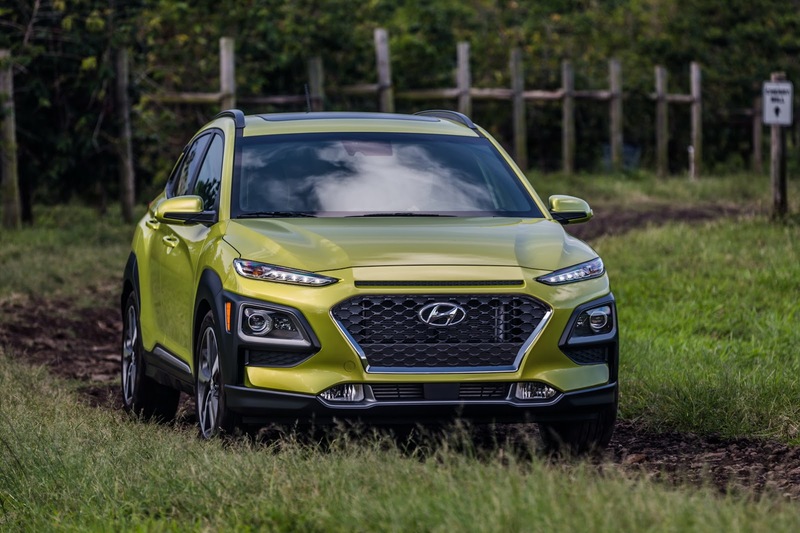 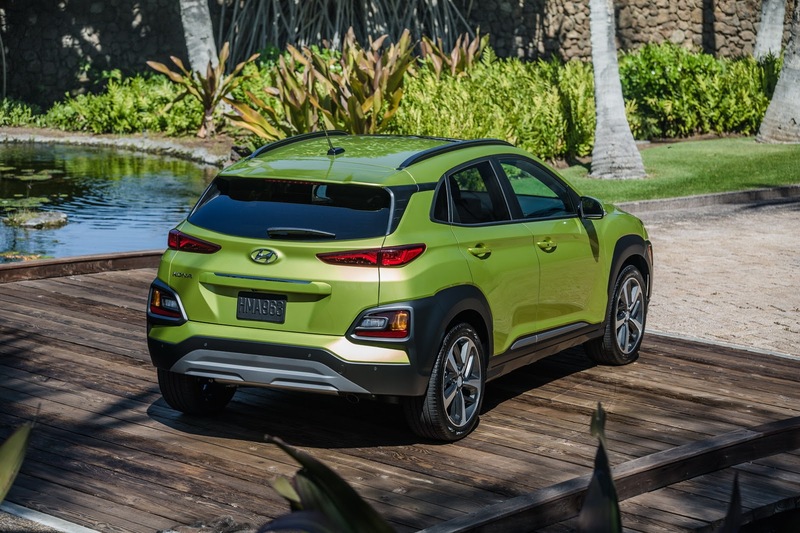 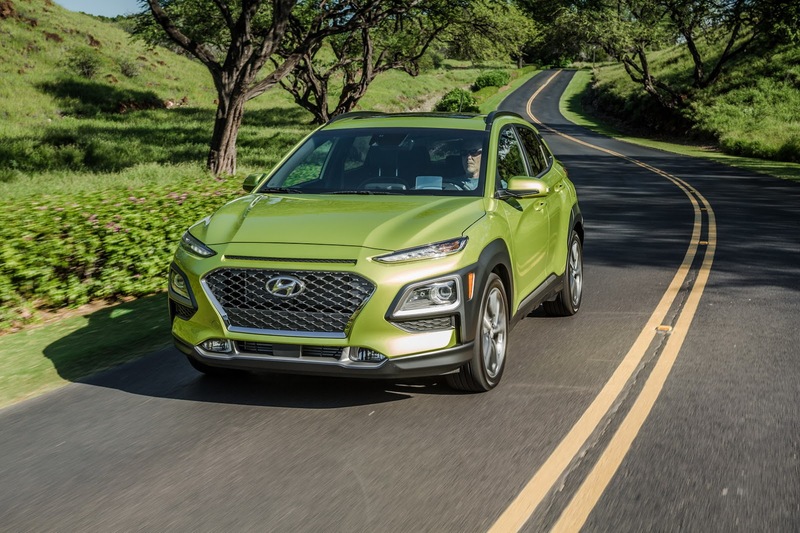 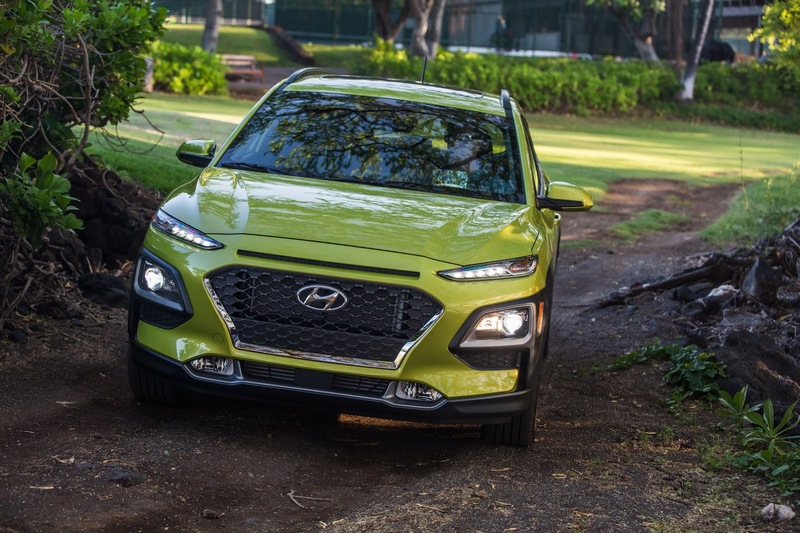 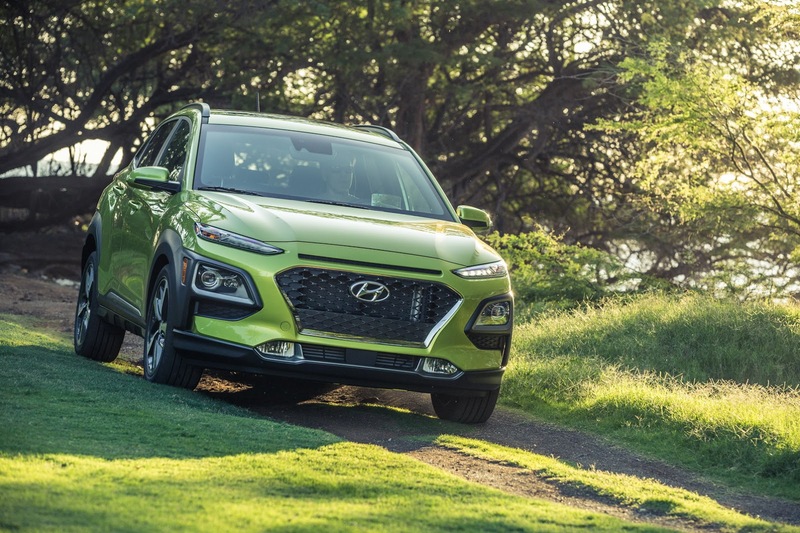 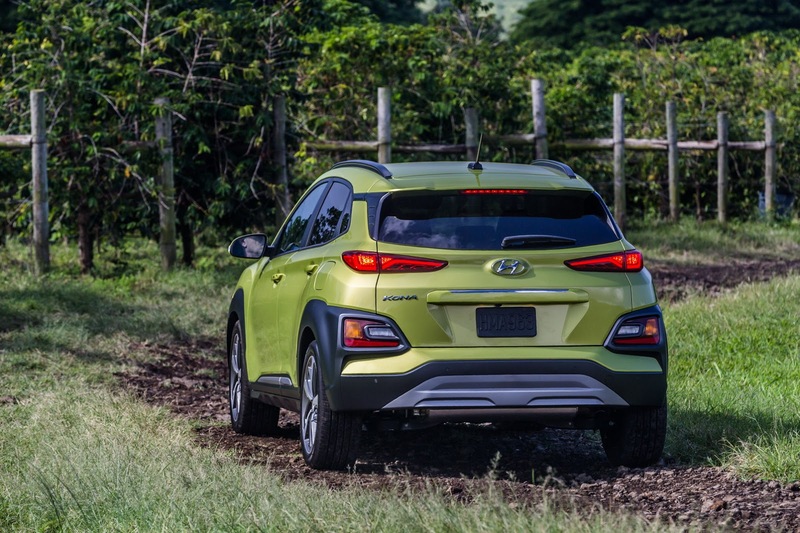 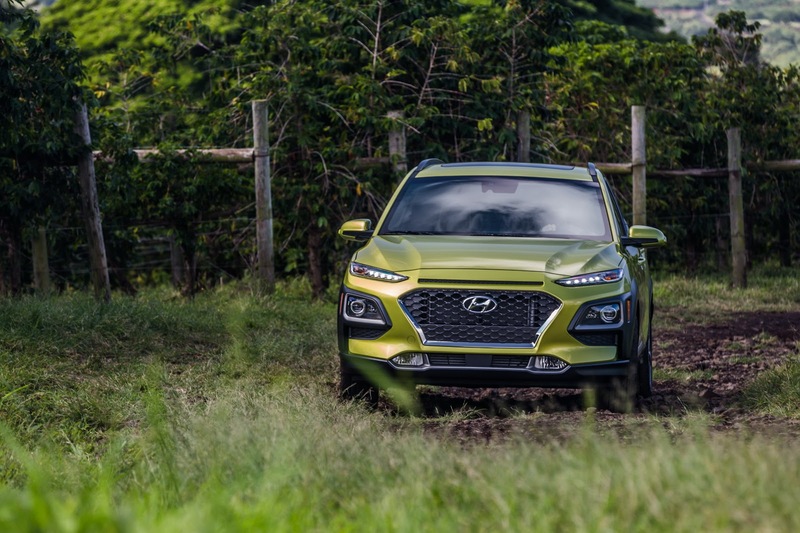 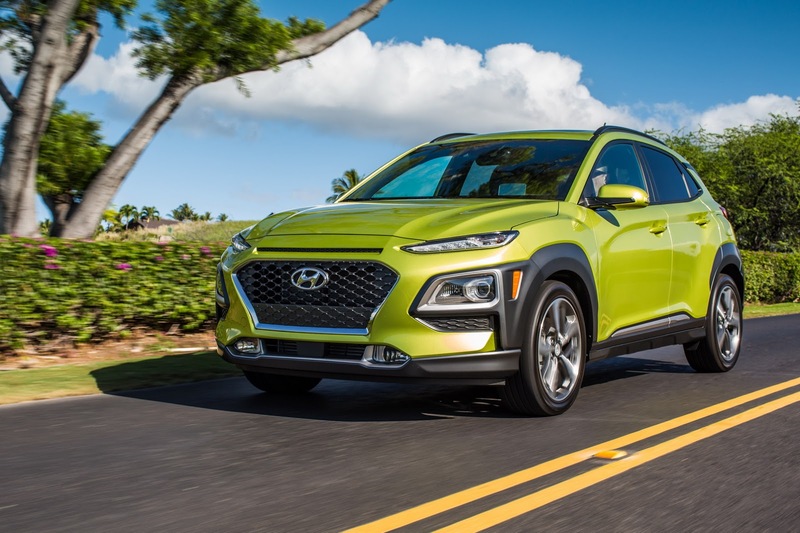 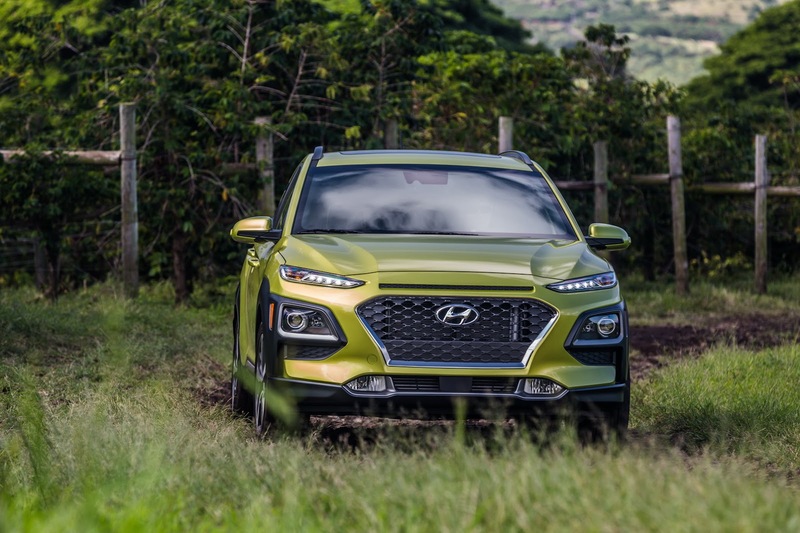 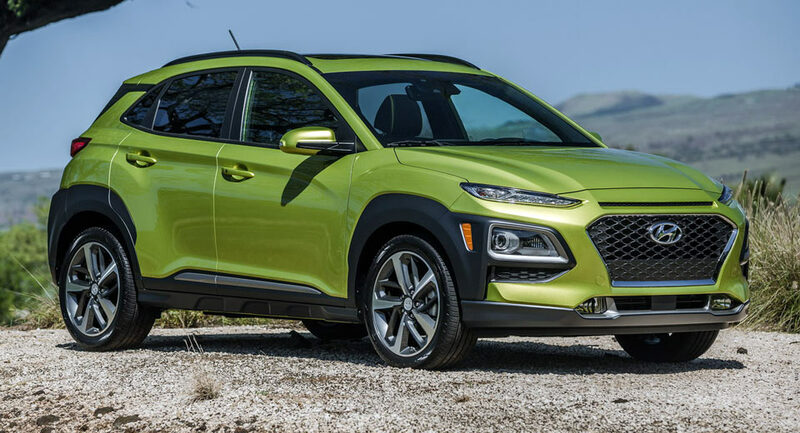 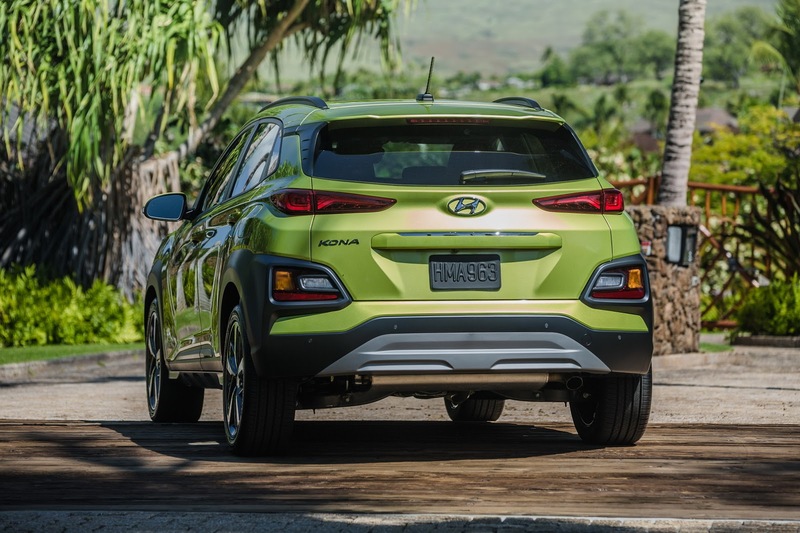 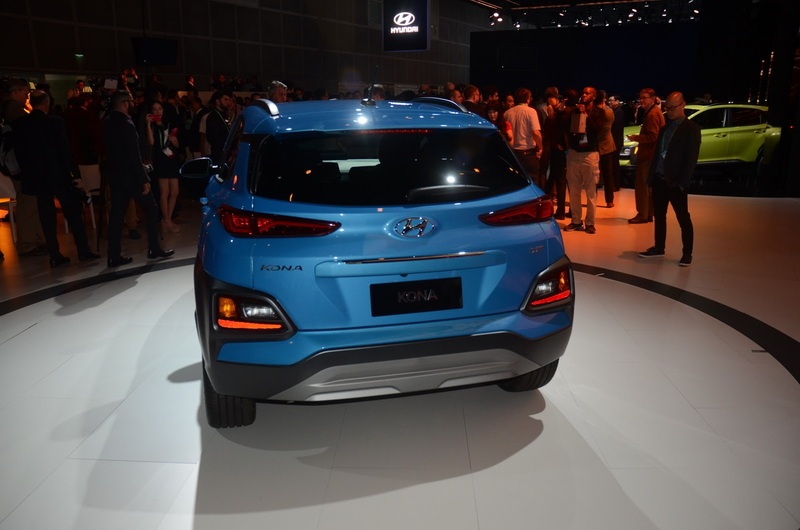 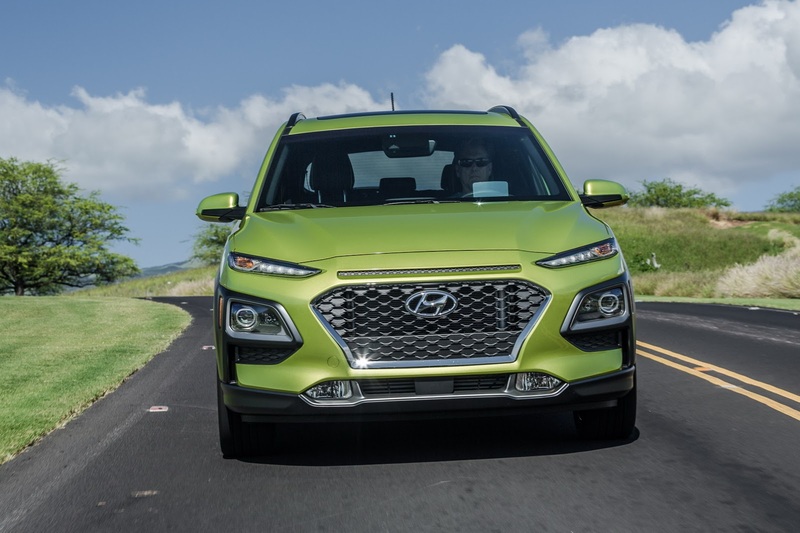 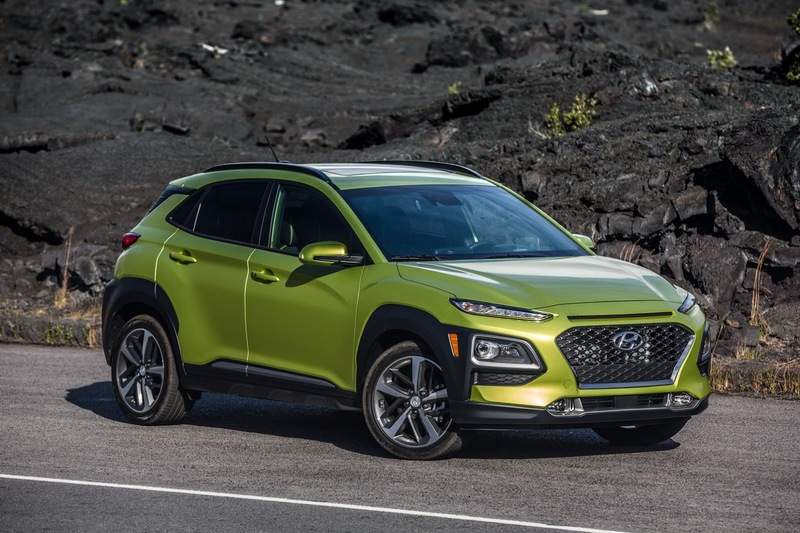 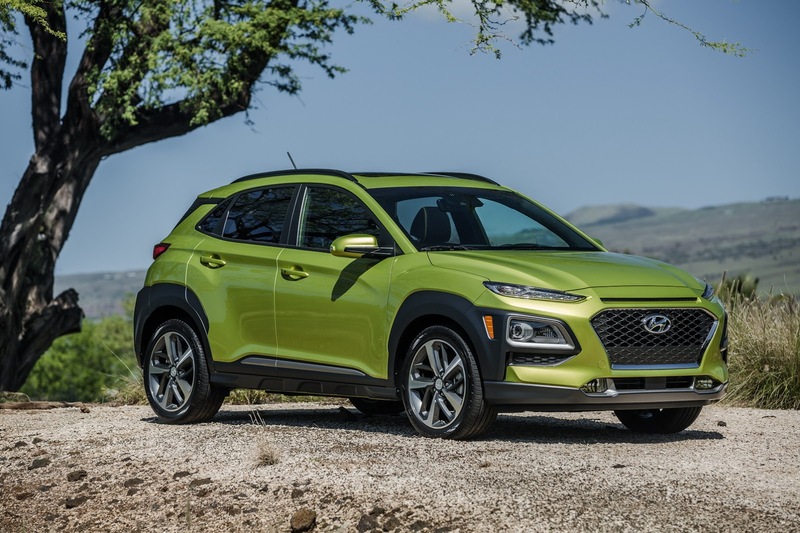 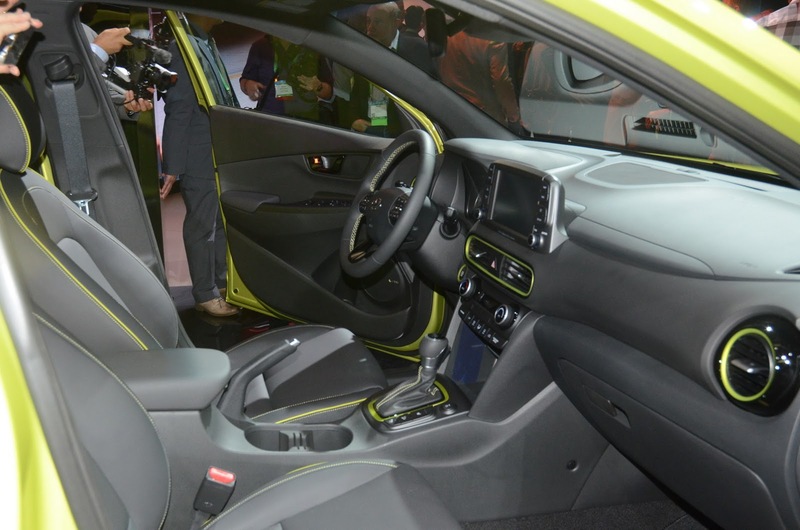 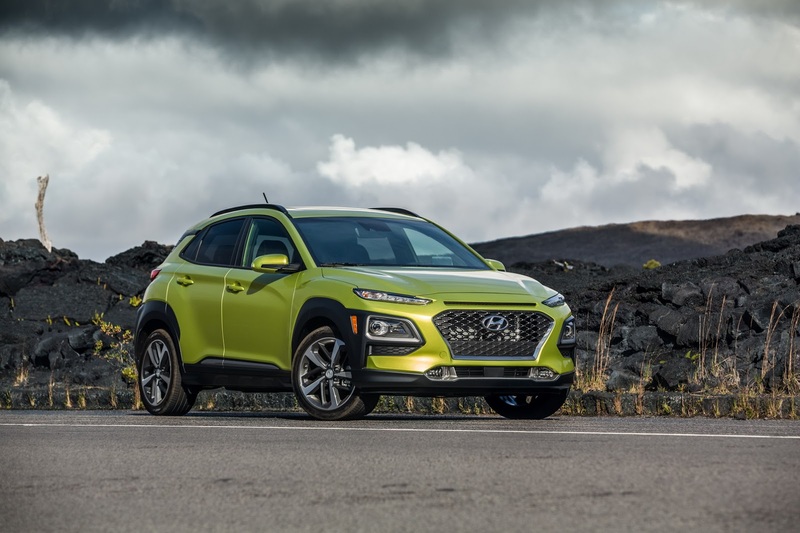 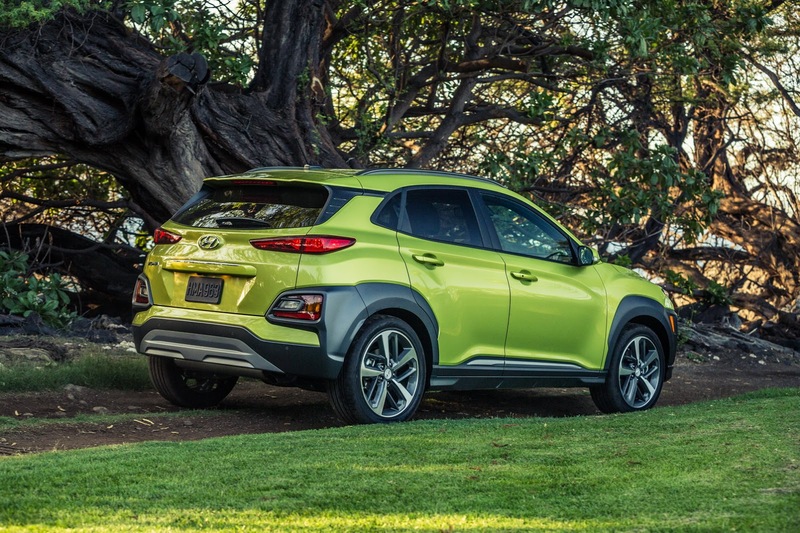 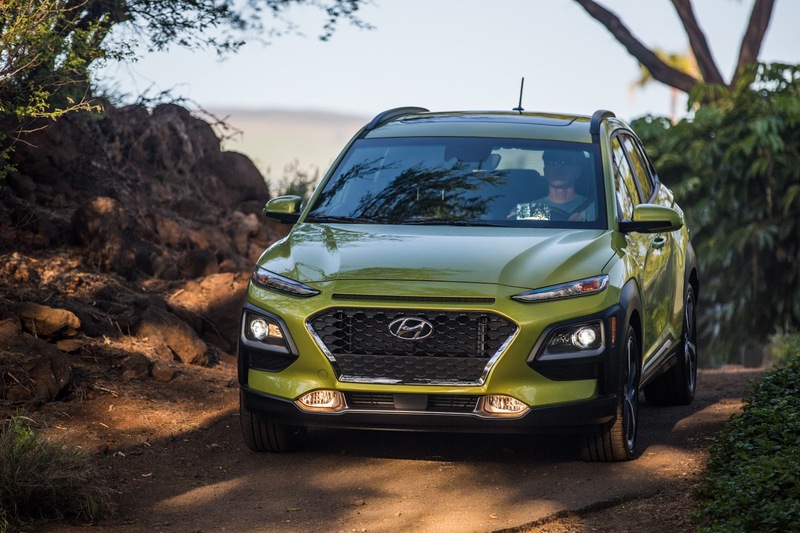 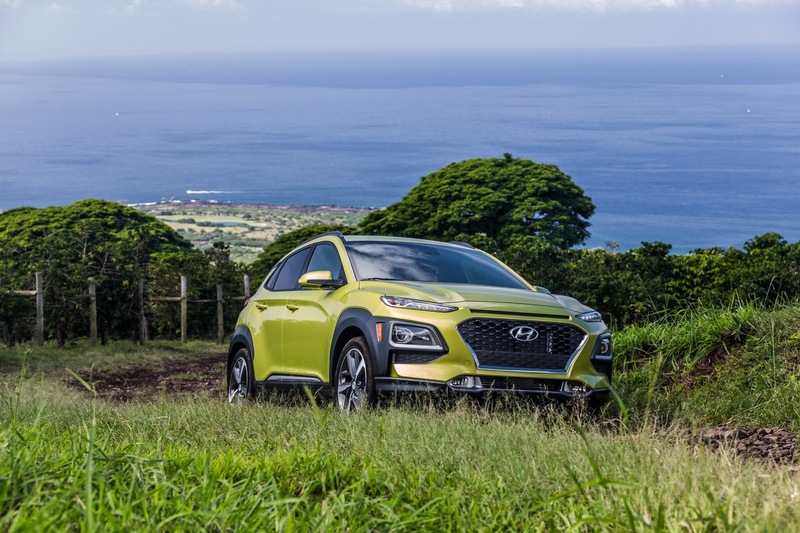 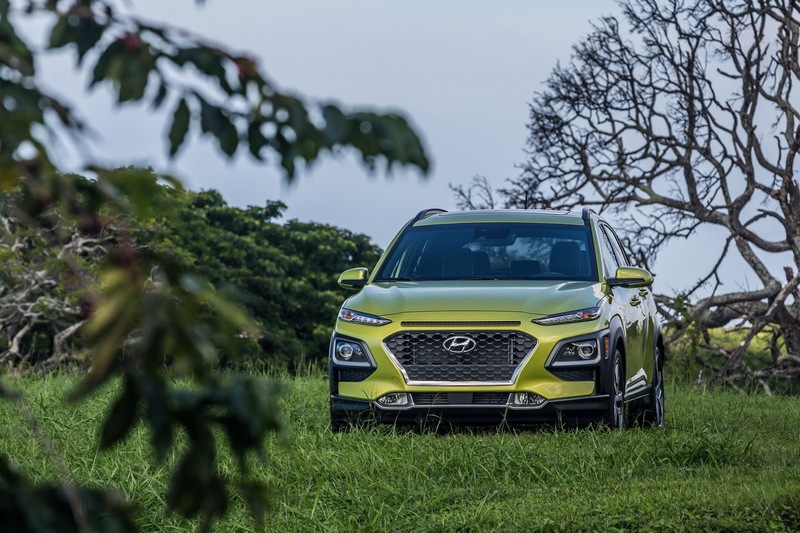 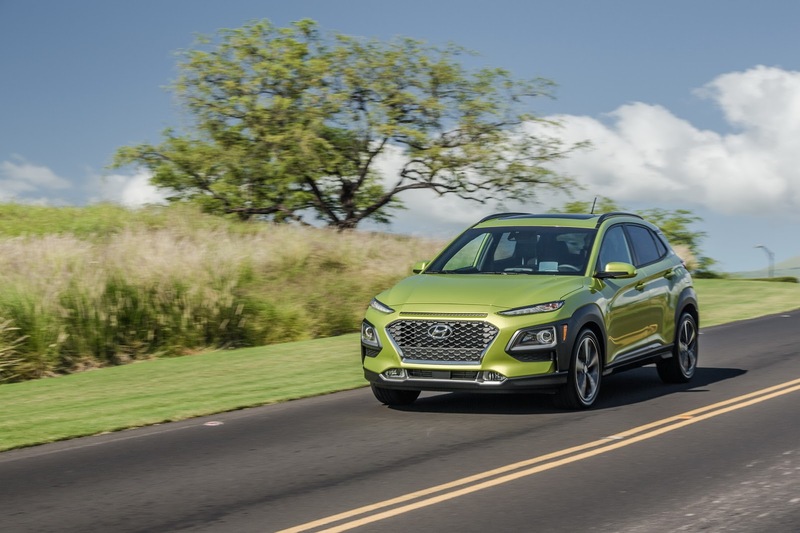 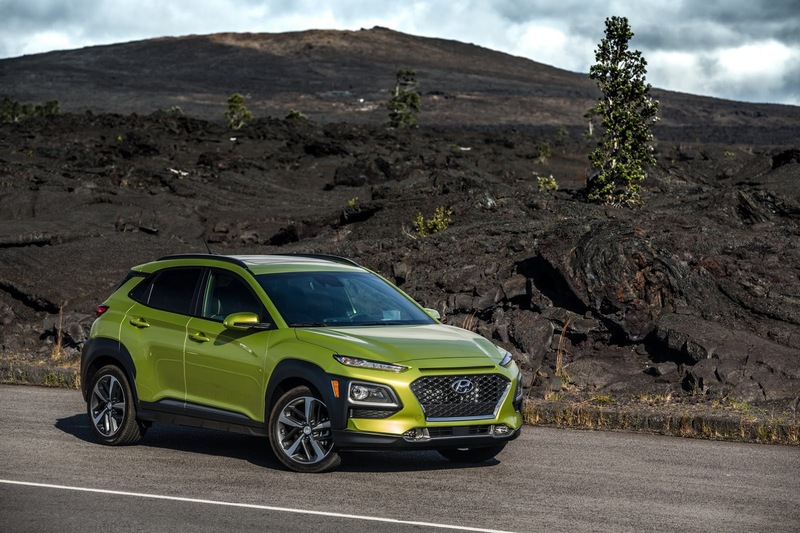 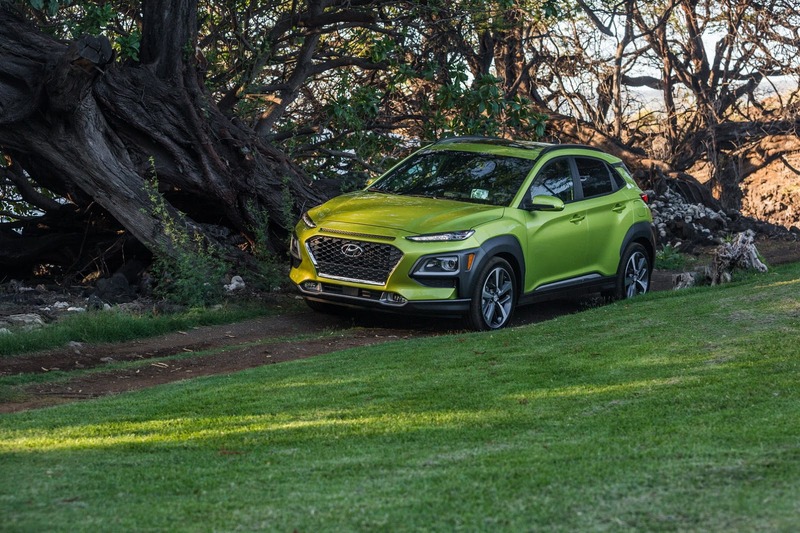 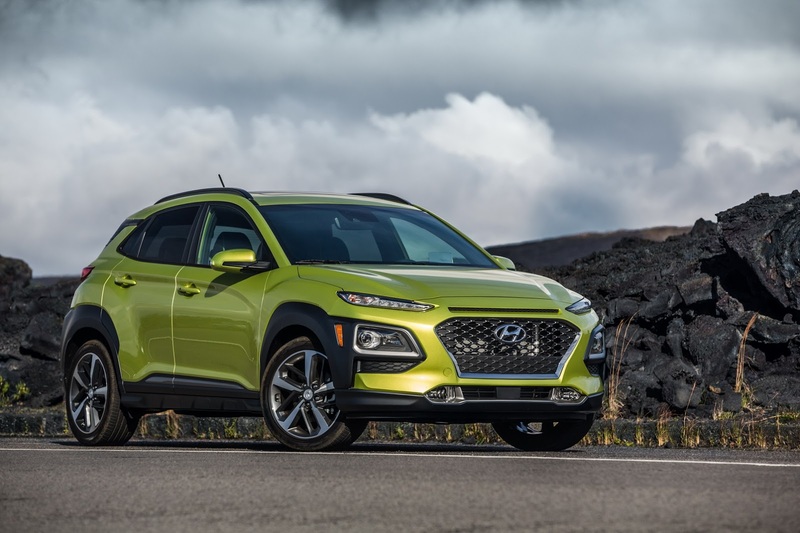 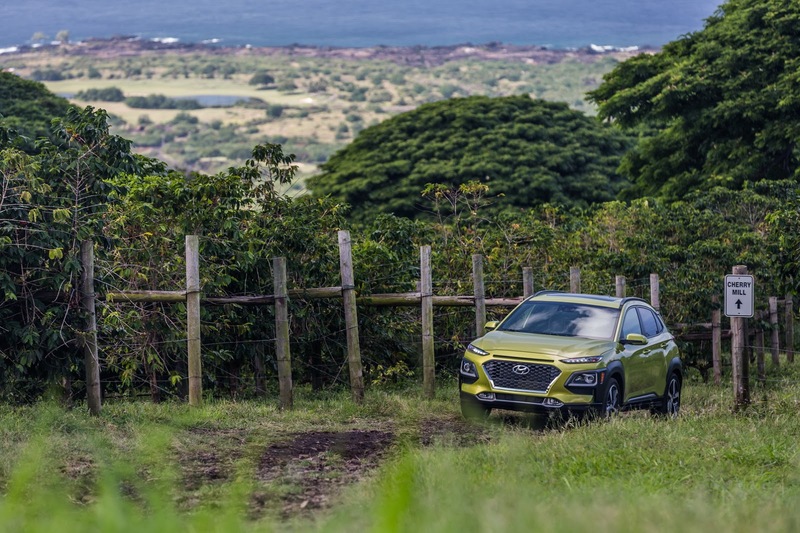 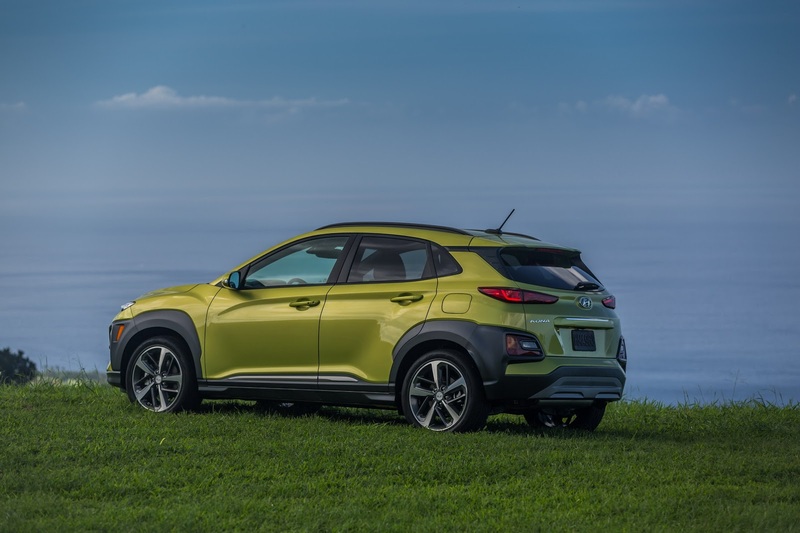 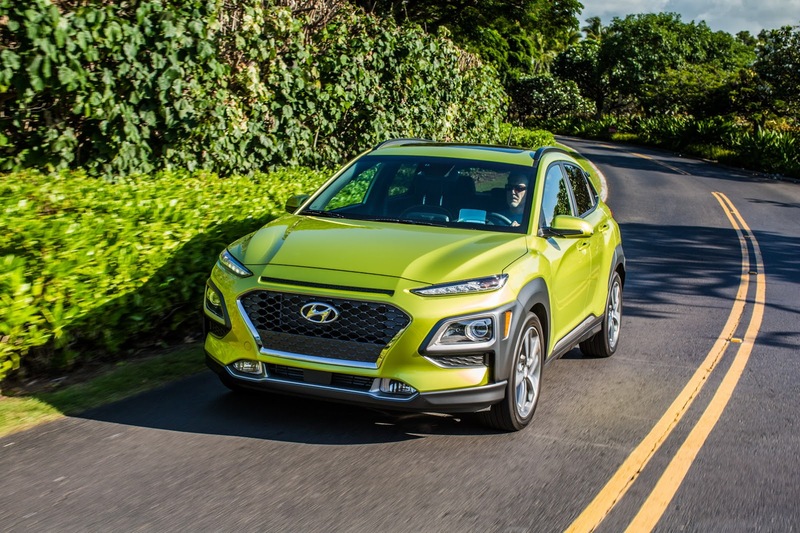 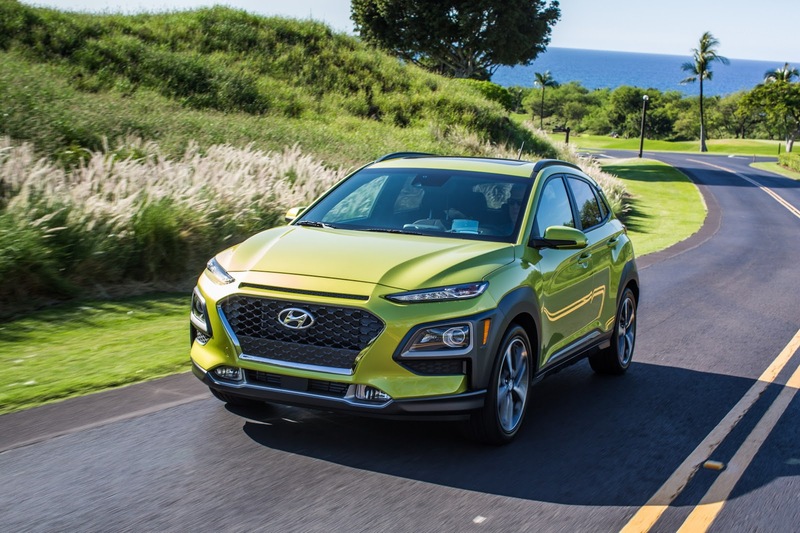 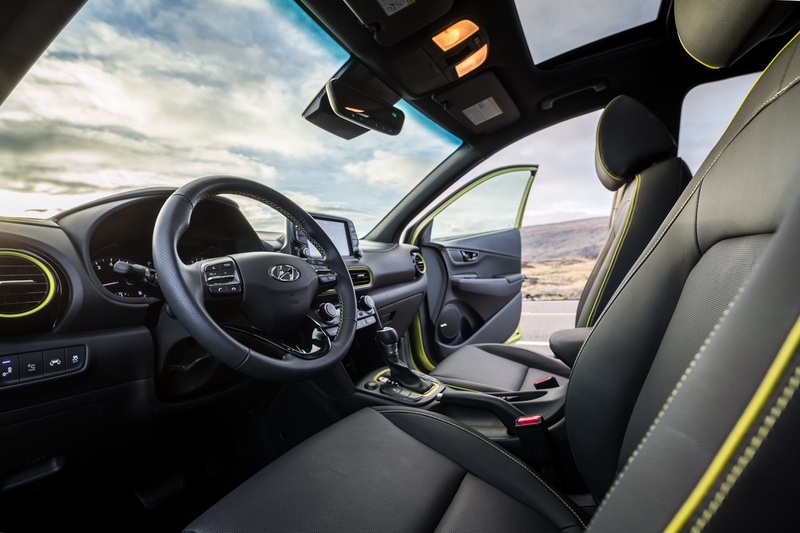 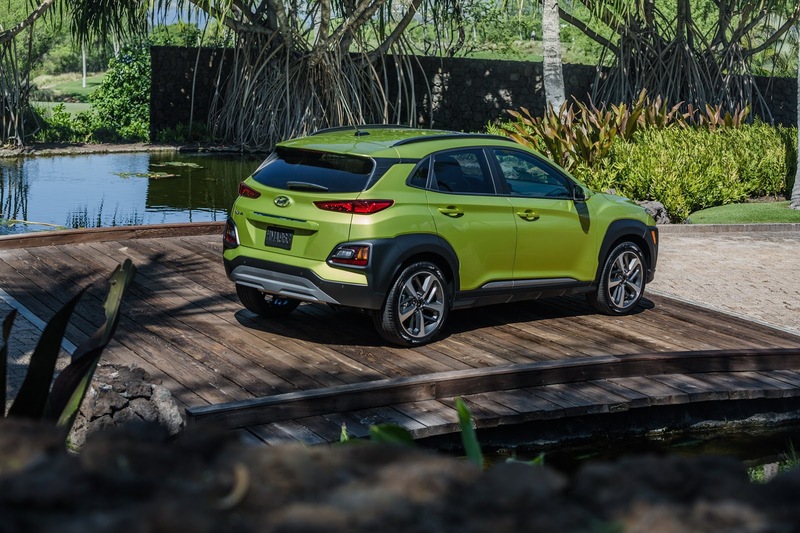 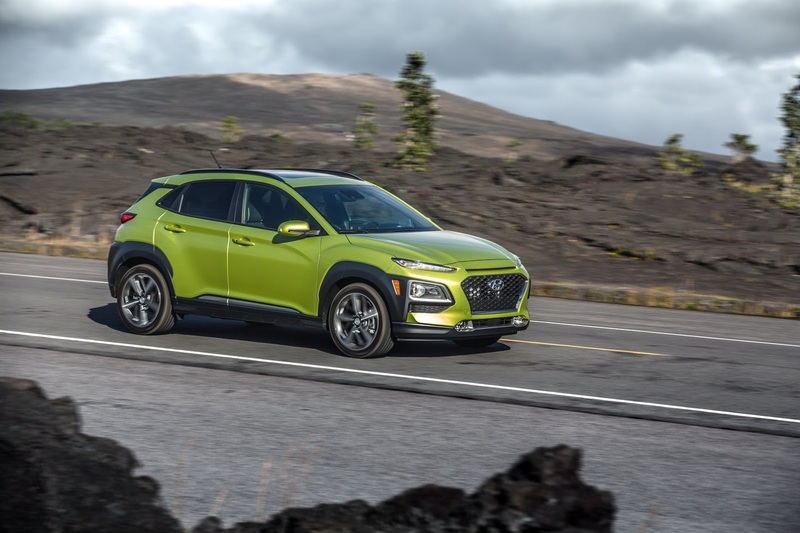 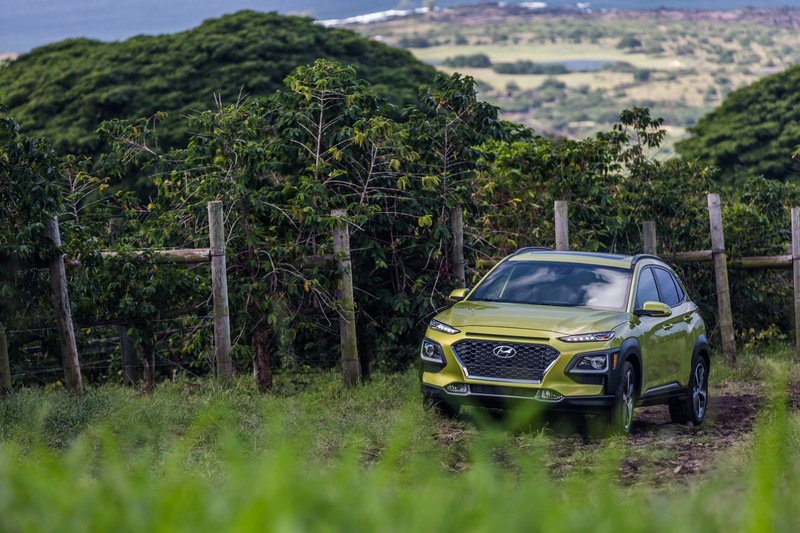 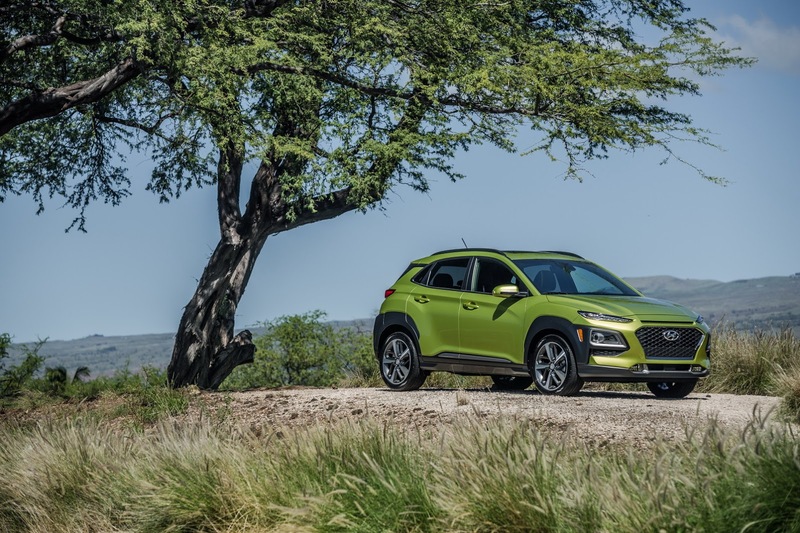 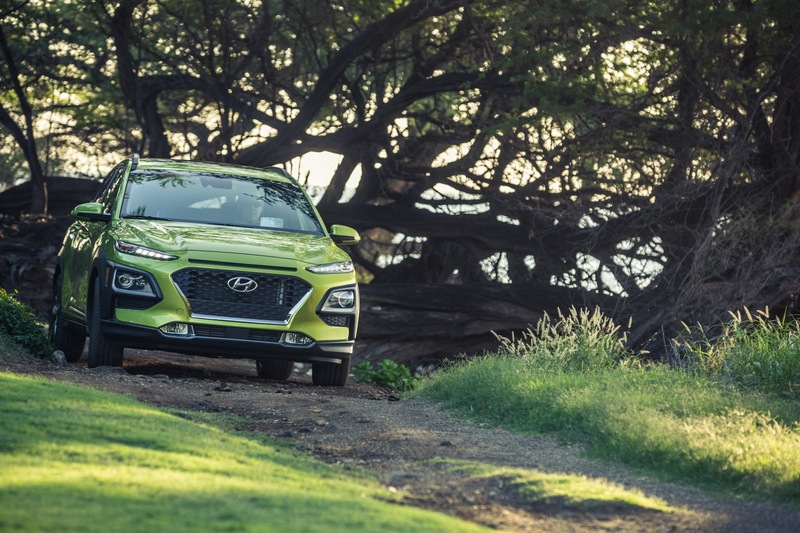 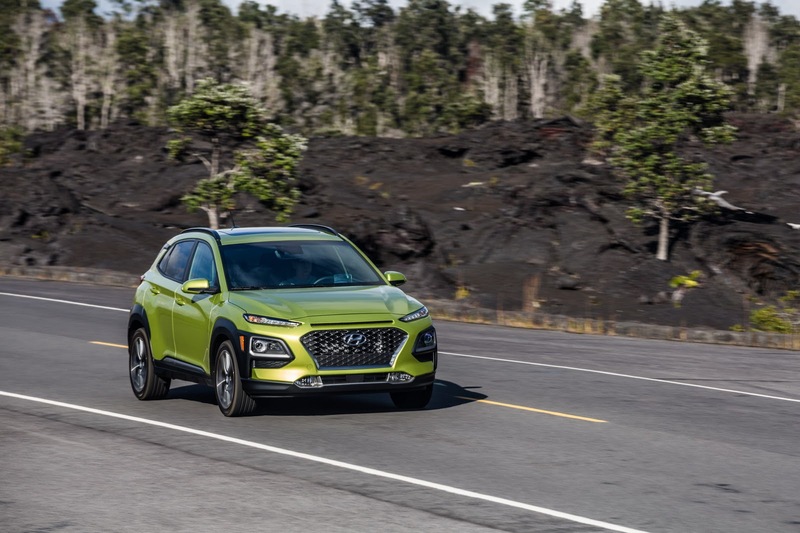 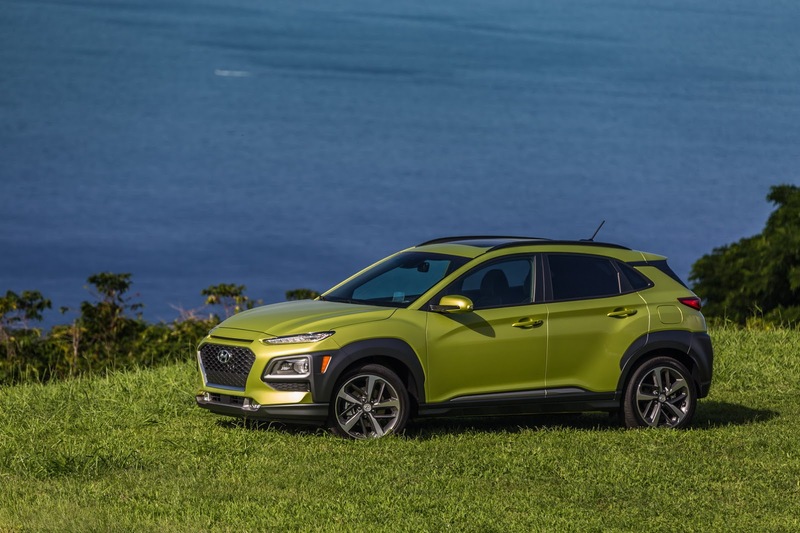 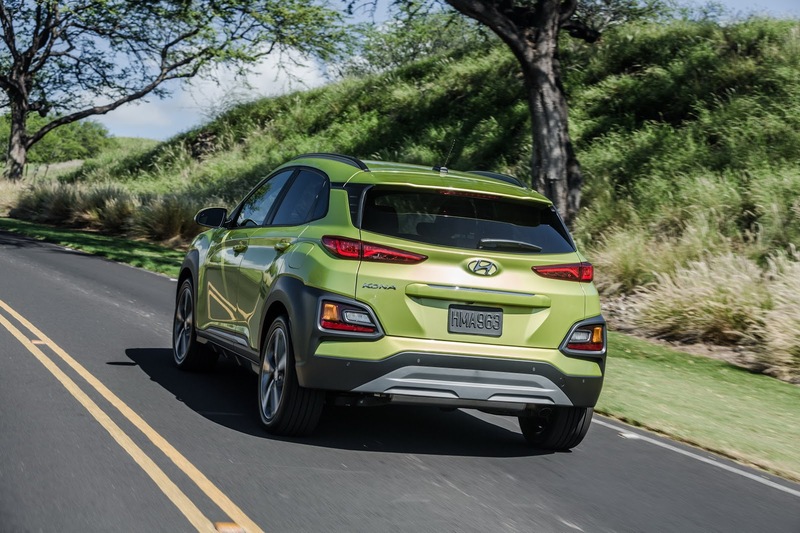 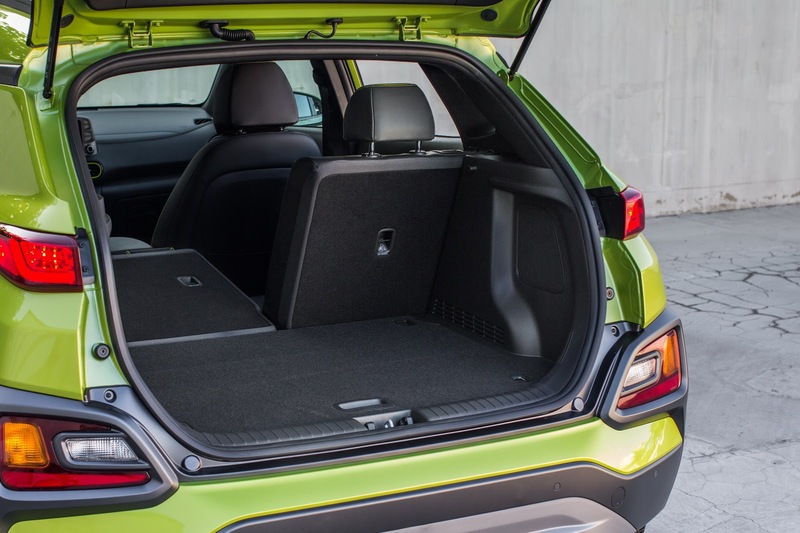 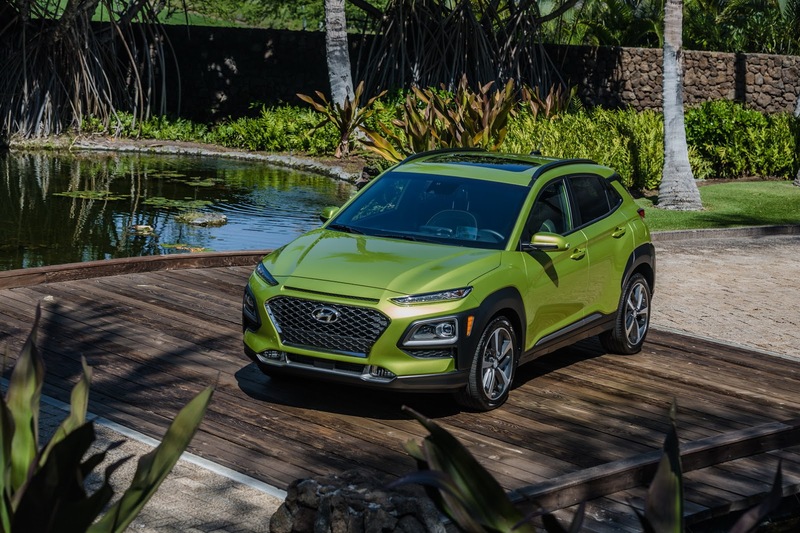 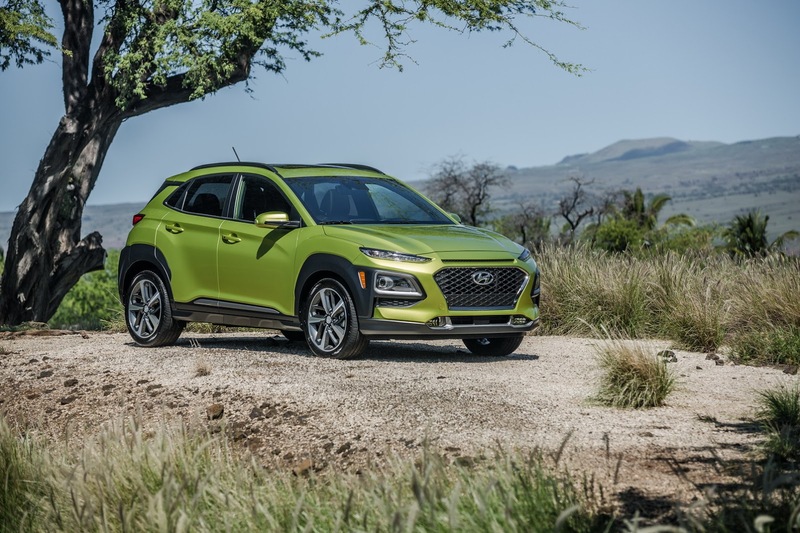 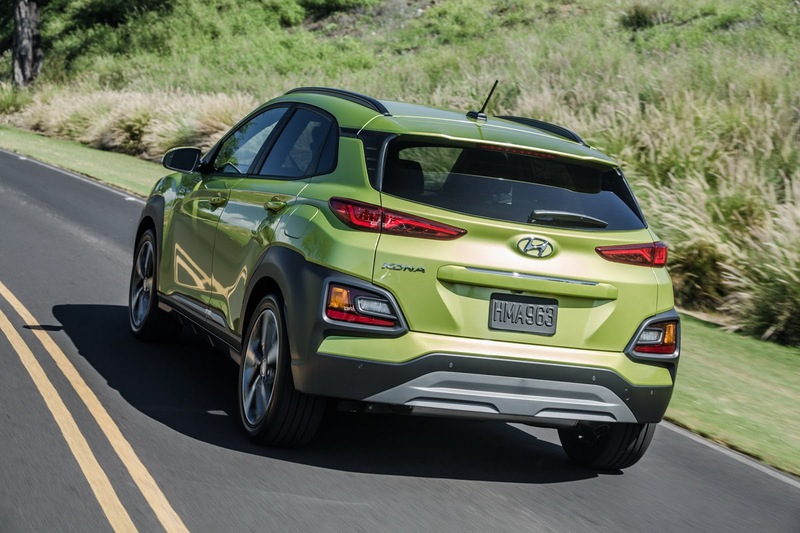 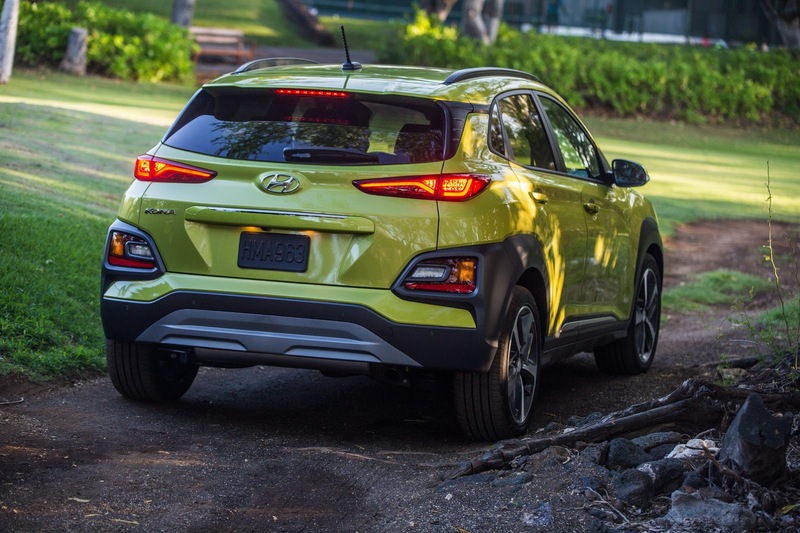 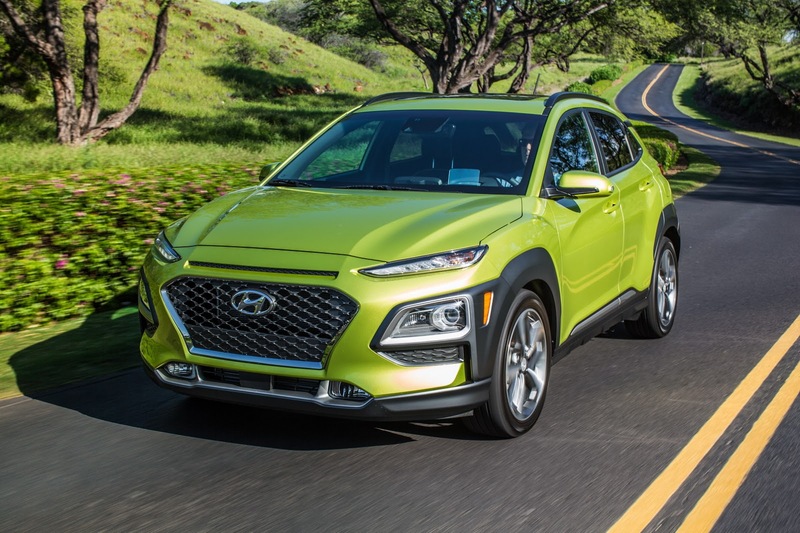 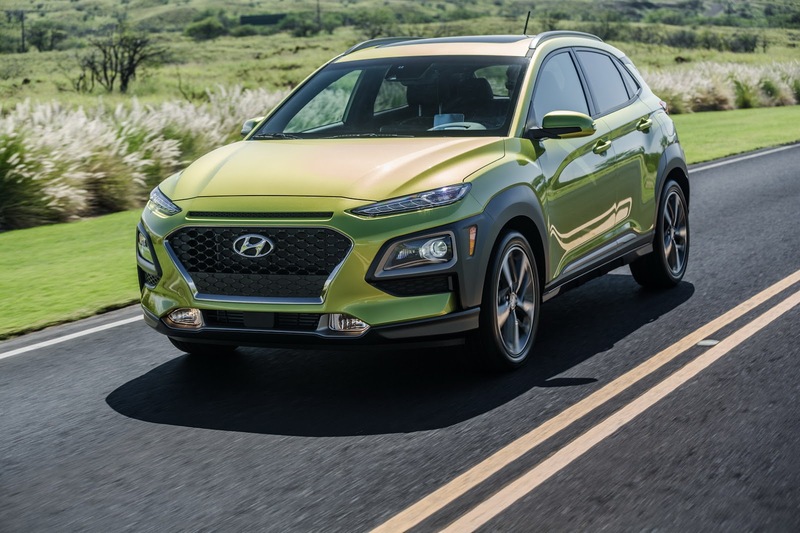 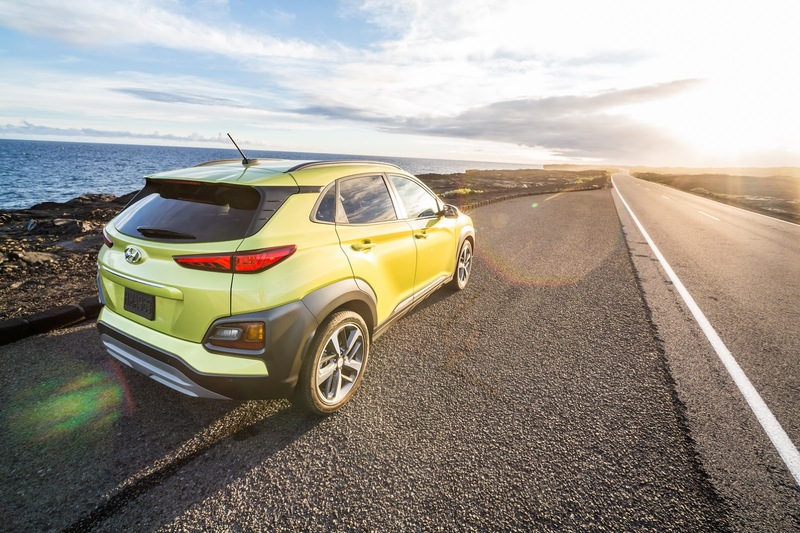 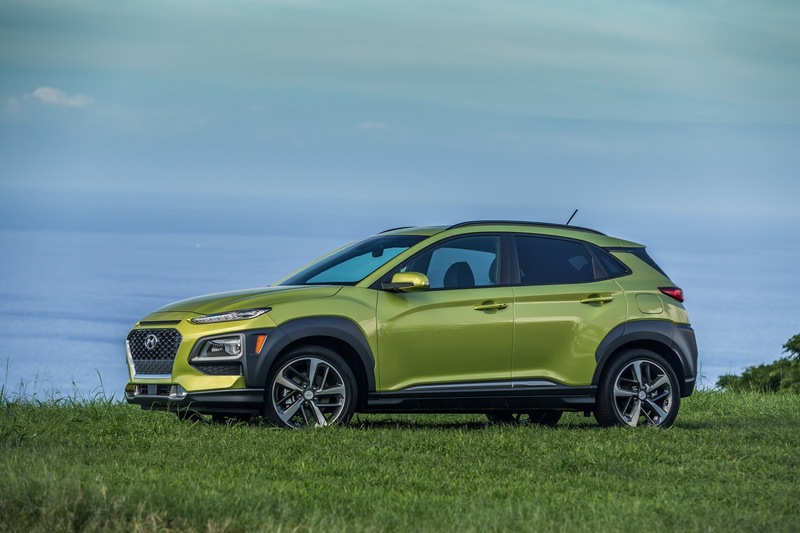 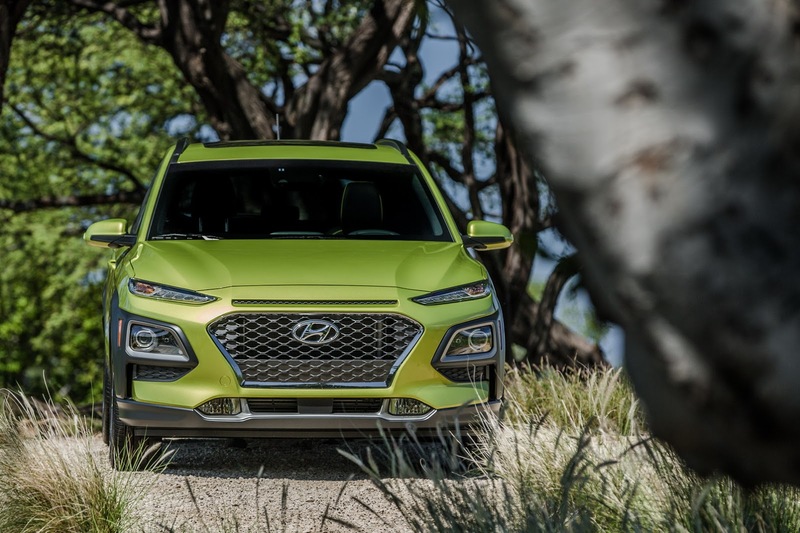 Based on a brand-new platform, the Hyundai Kona is designed to offer good ground clearance, generous interior space and a commanding driving position. 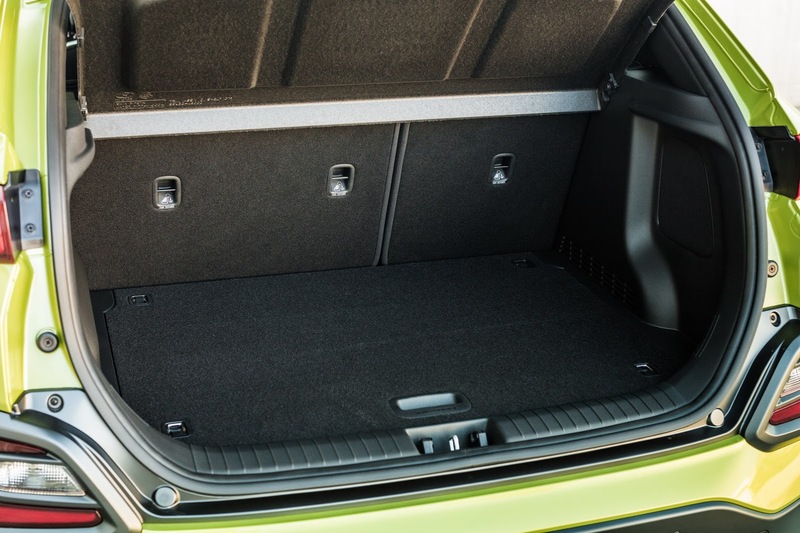 The underfloor layout is optimized to reduce central tunnel intrusion. 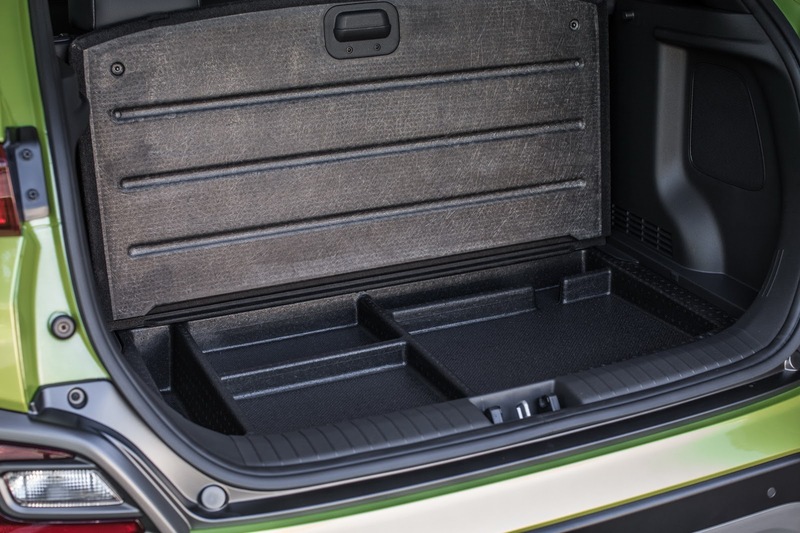 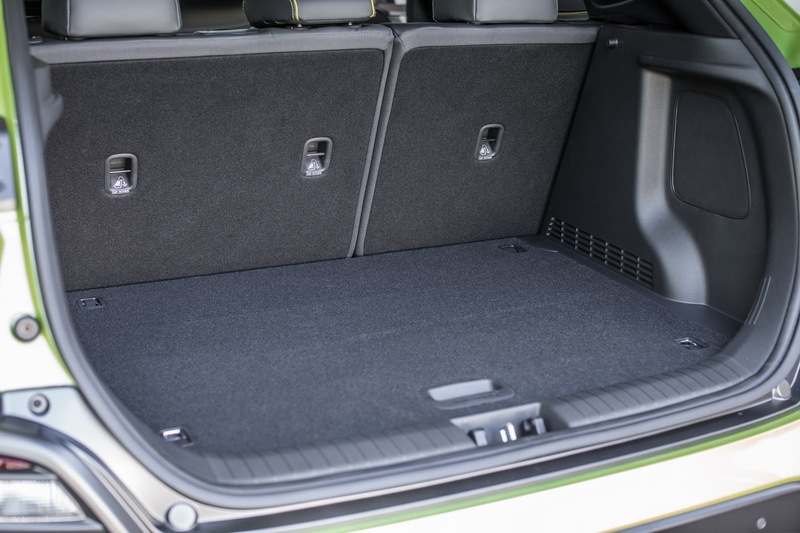 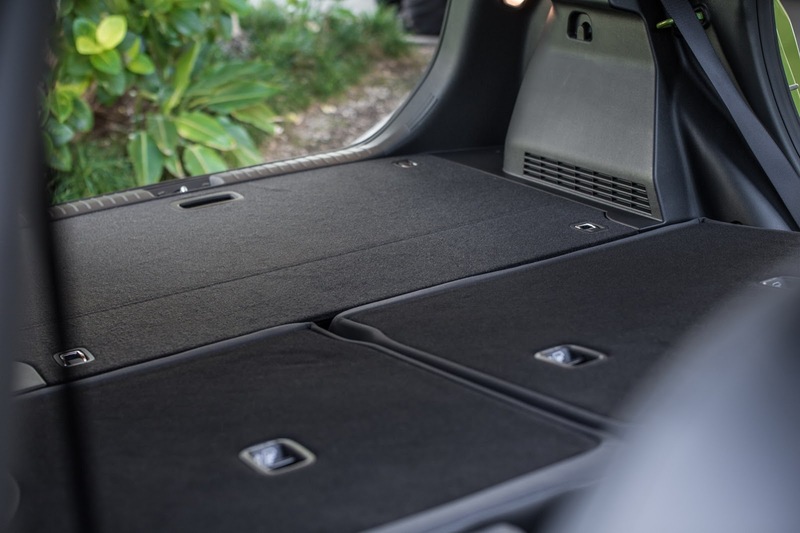 The optional all-wheel drive system is also cleverly packaged. 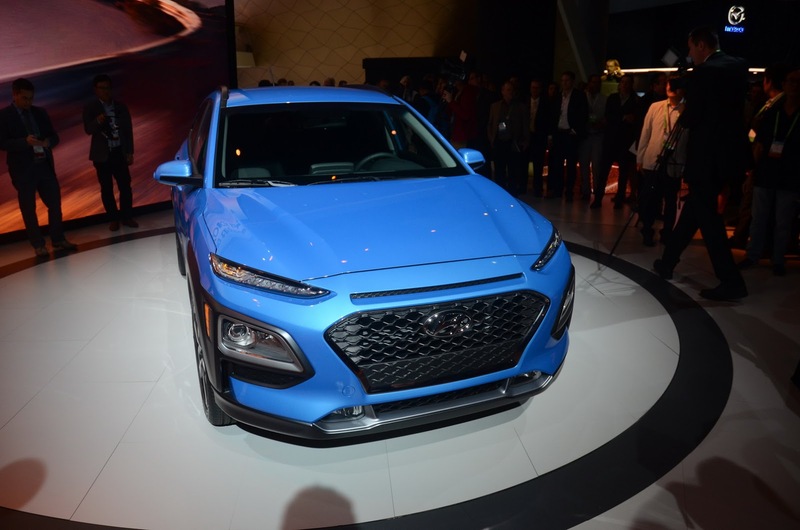 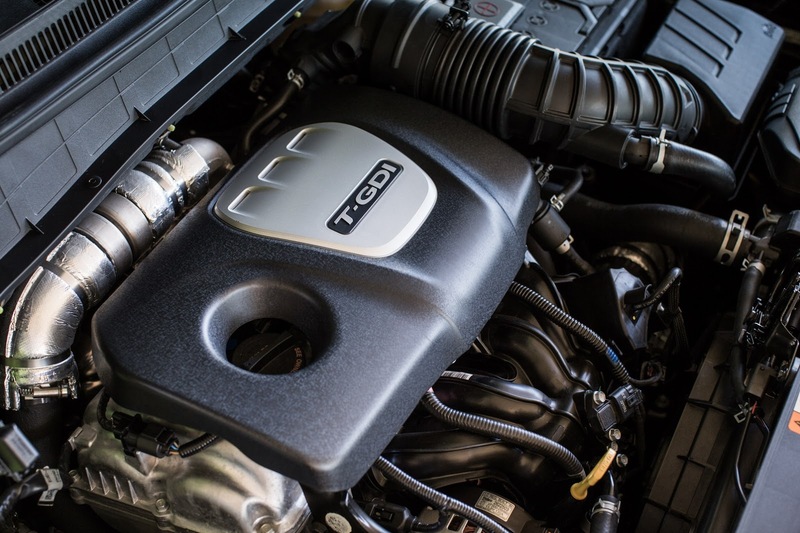 Customers in the U.S. will be offered two choices: an entry-level 2.0-liter four-cylinder petrol than runs on the Atkinson cycle and produces 147hp and 132lb-ft of torque and the turbocharged 1.6-liter with direct injection which makes 175hp and 195lb-ft of torque. 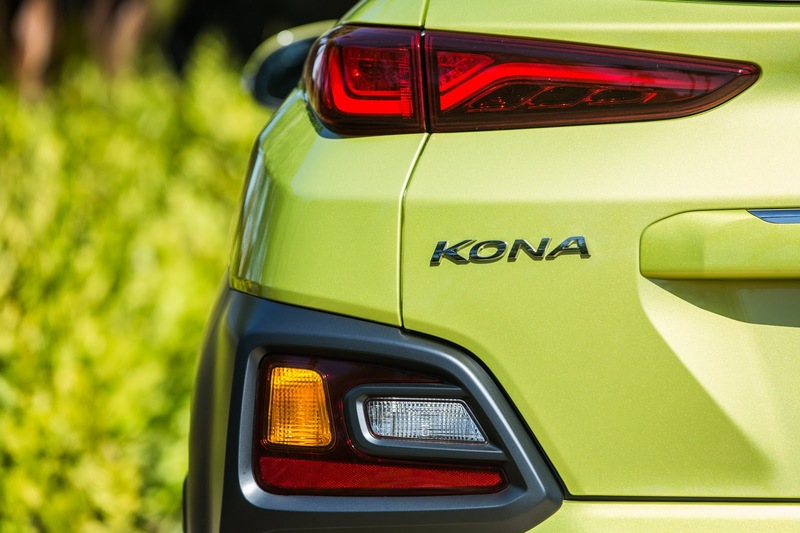 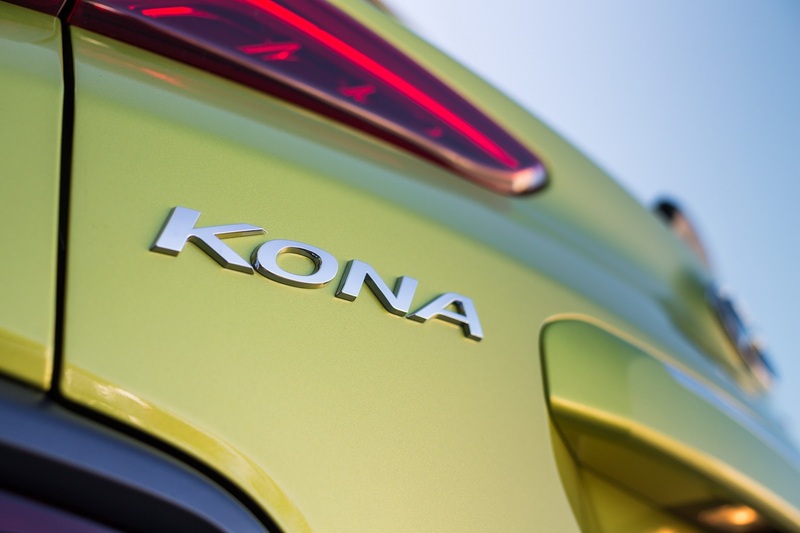 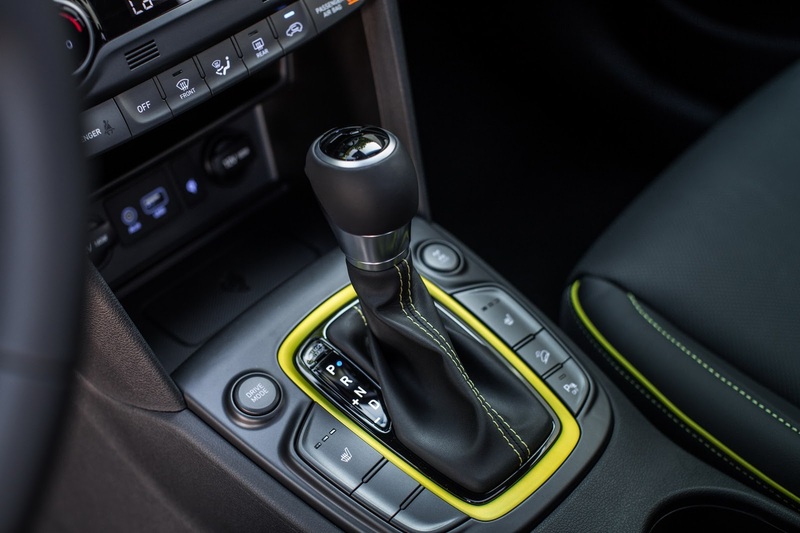 2.0-liter models are paired to a six-speed automatic while the more powerful turbocharged Konas are fitted with a seven-speed dual-clutch automatic. 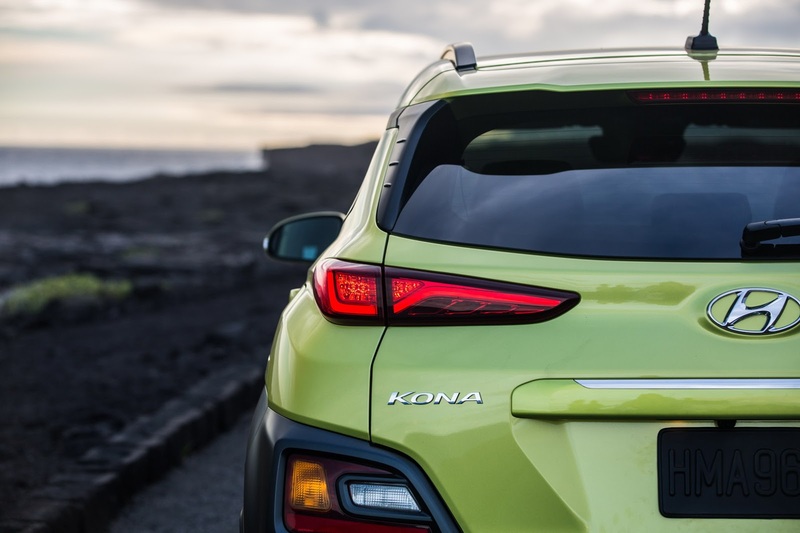 Hyundai claims that the Kona was developed to offer “enhanced driving dynamics and responsive performance”. 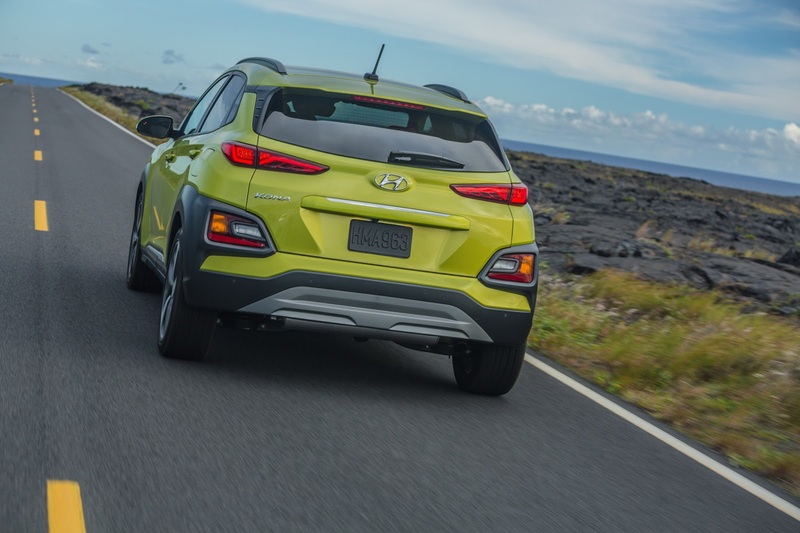 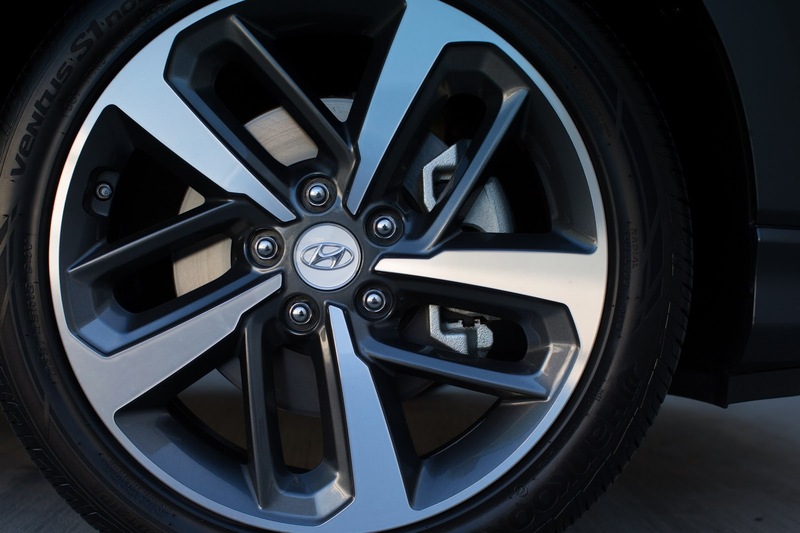 Front-wheel drive models get a rear torsion beam suspension while all-wheel drive ones are fitted with a multi-link rear. 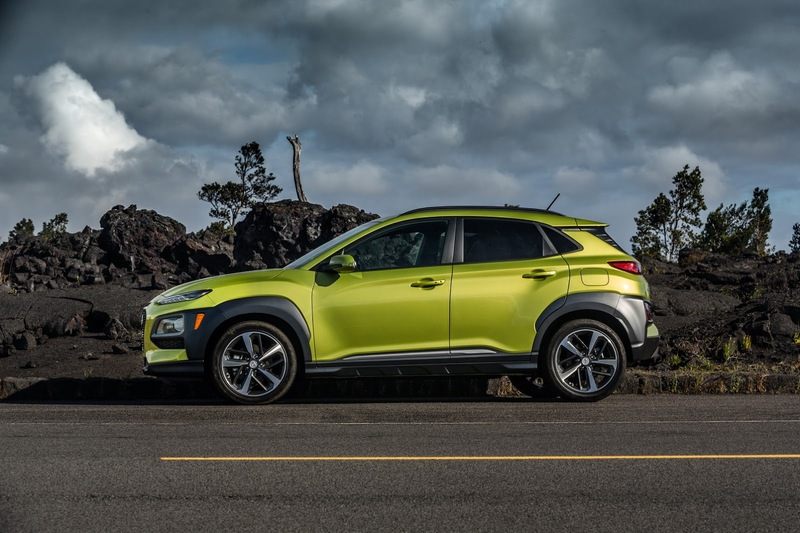 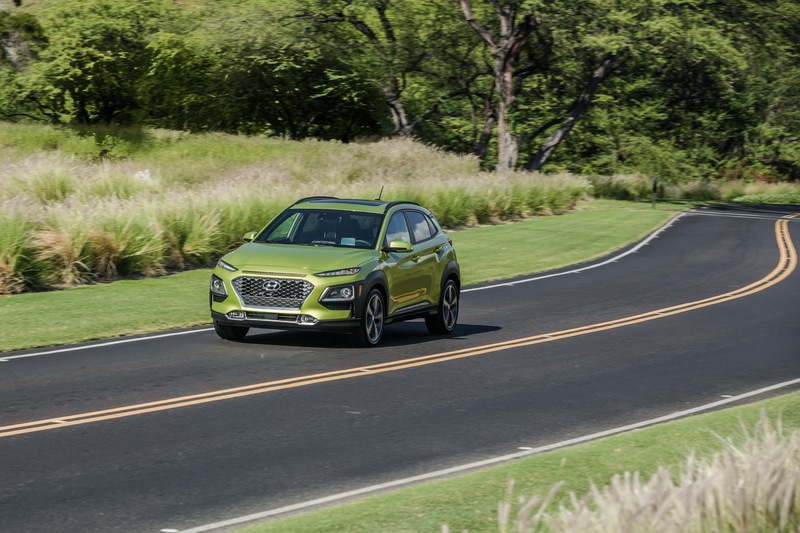 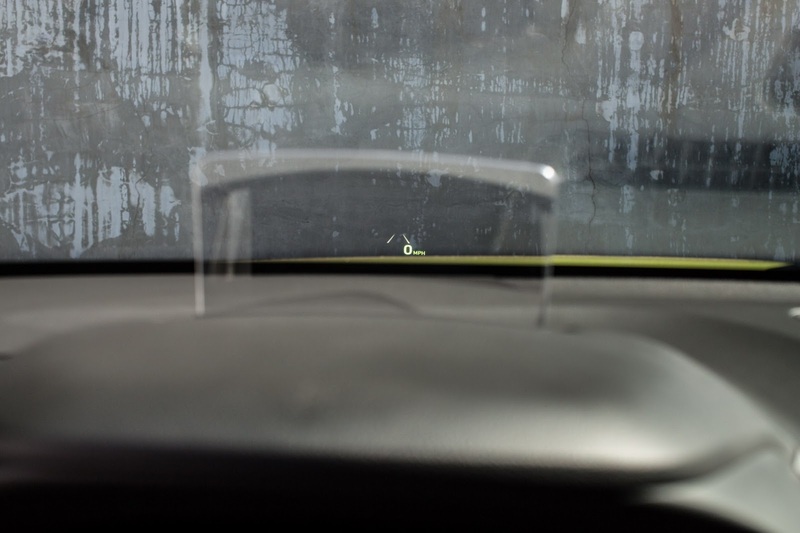 Forward Collision-Avoidance Assist along with Lane Keeping Assist, High Beam Assist, Driver Attention Warning, Blind Spot Warning and Rear Cross Traffic Alert are part of the Hyundai Kona’s available safety kit. 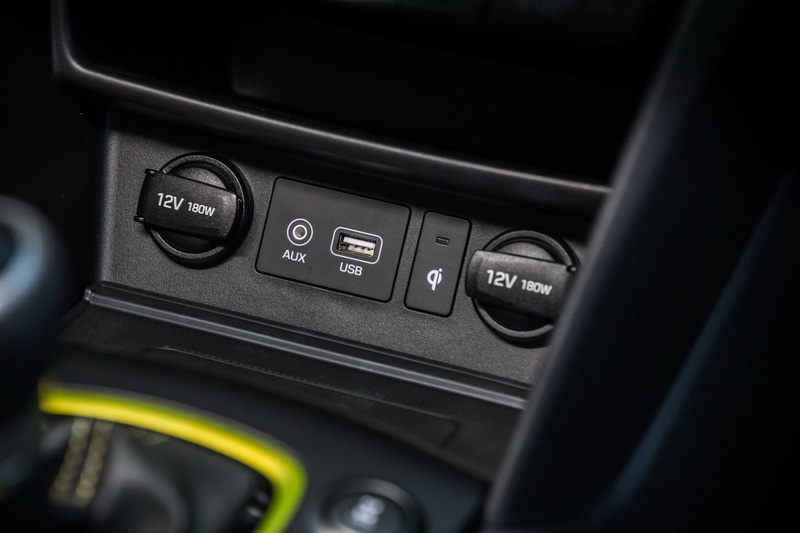 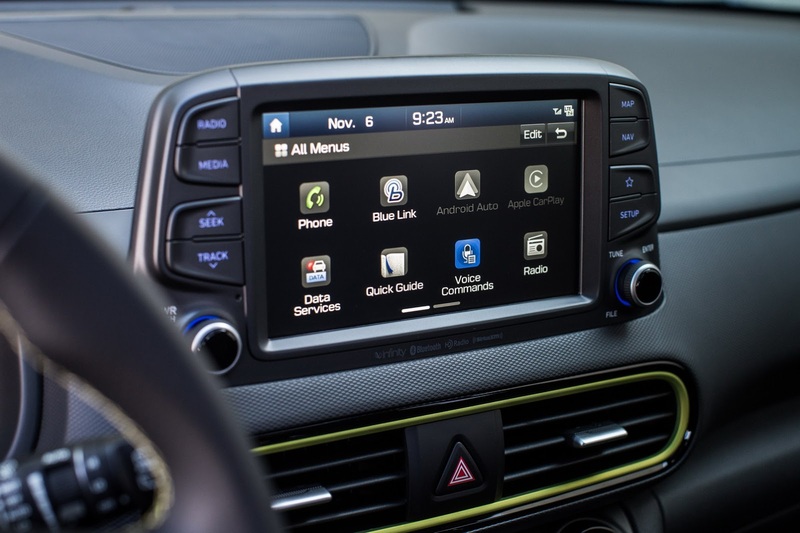 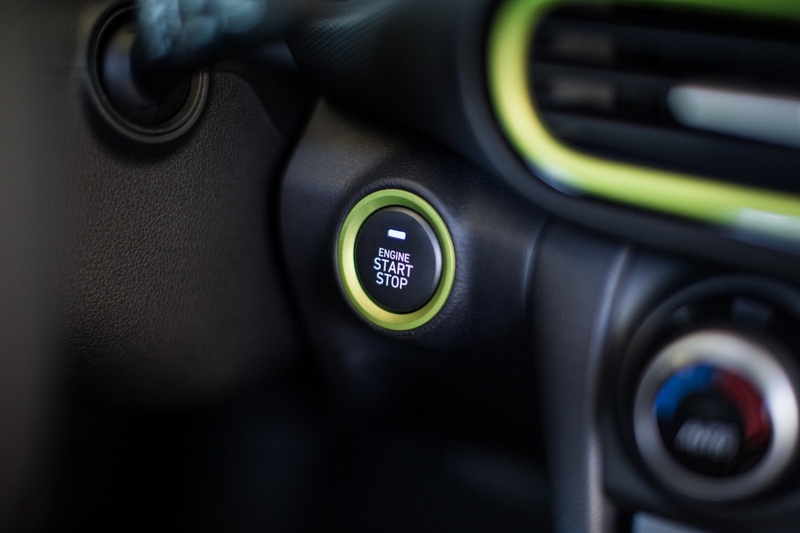 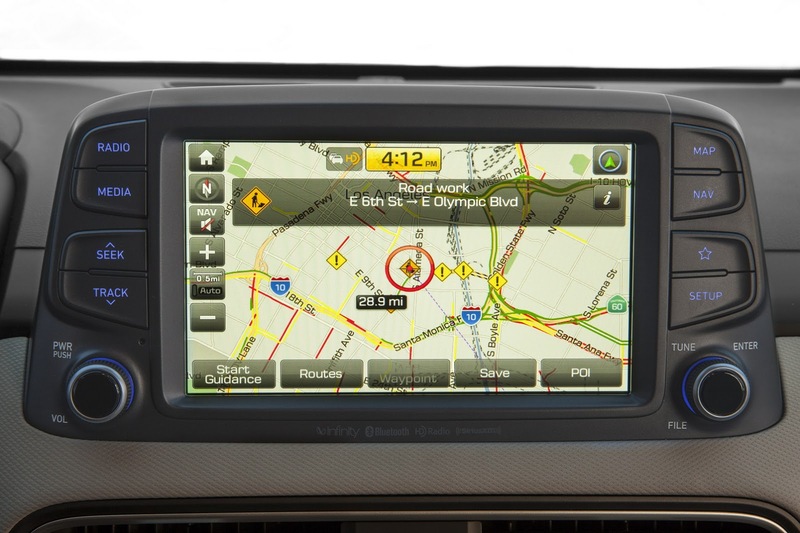 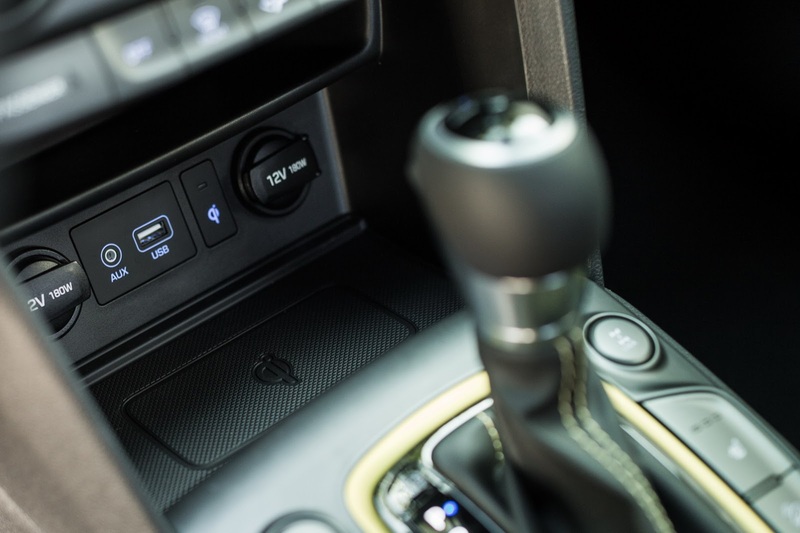 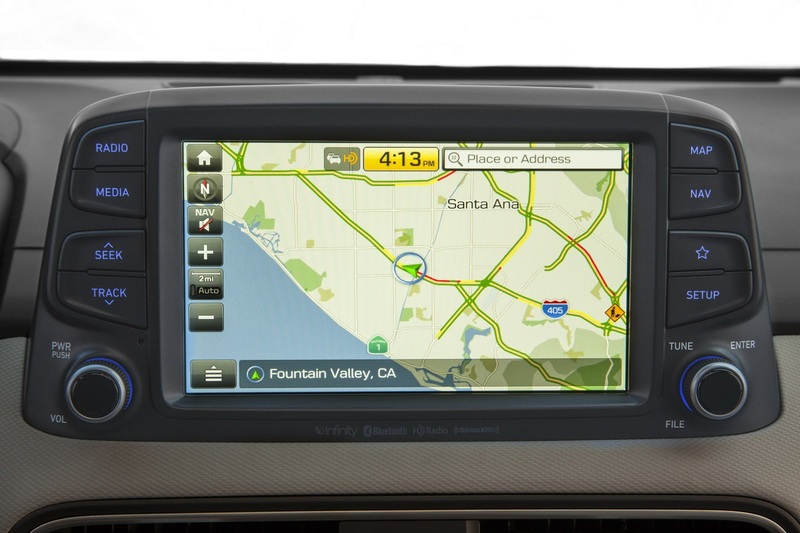 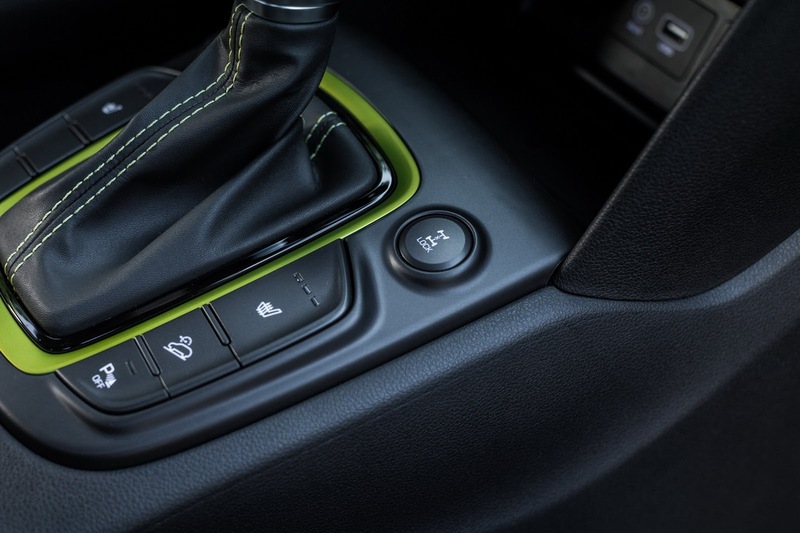 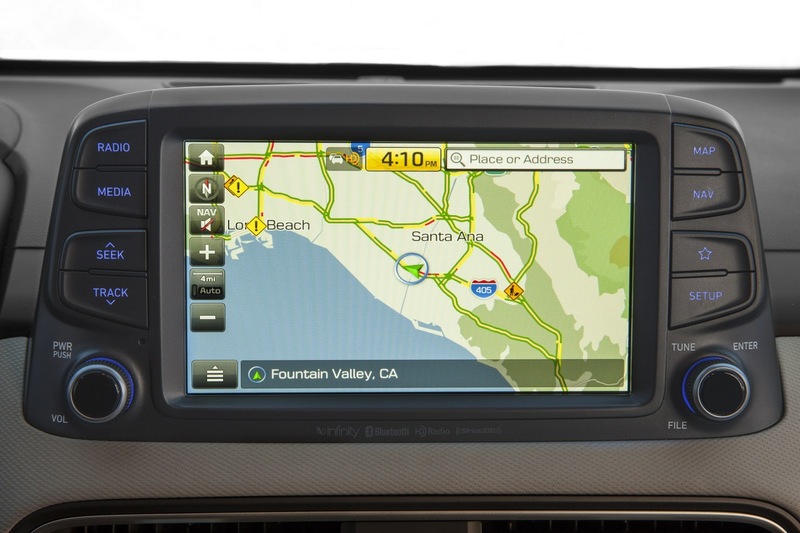 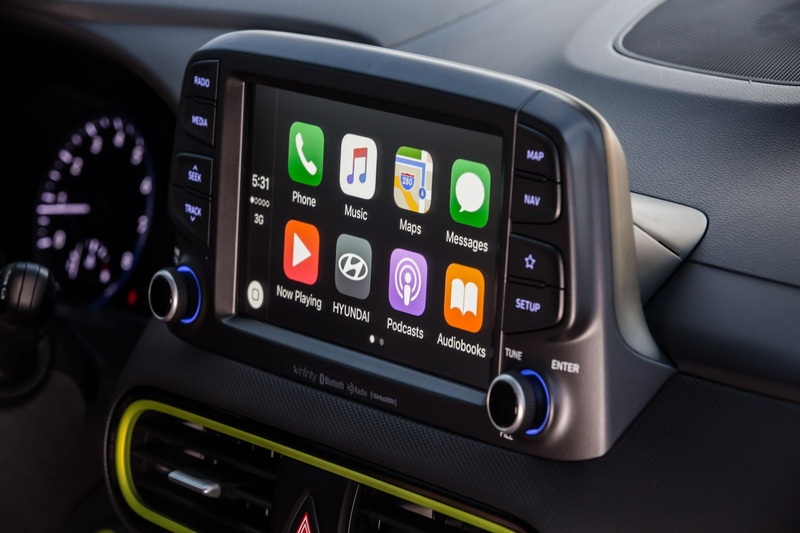 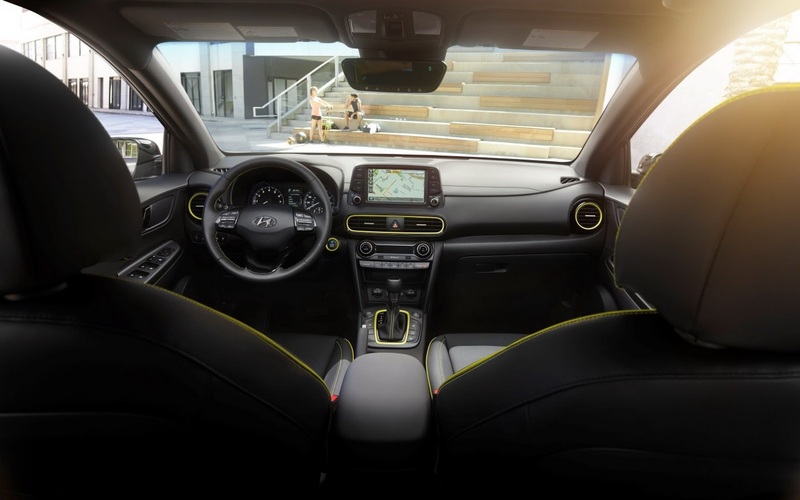 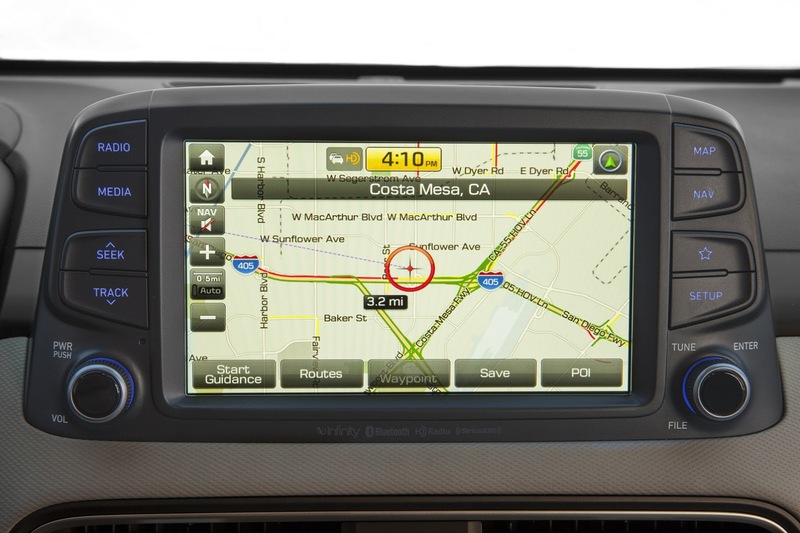 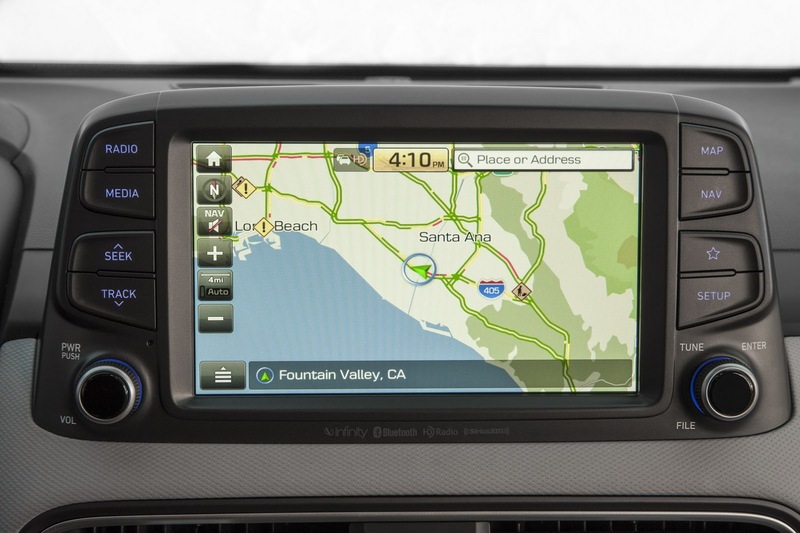 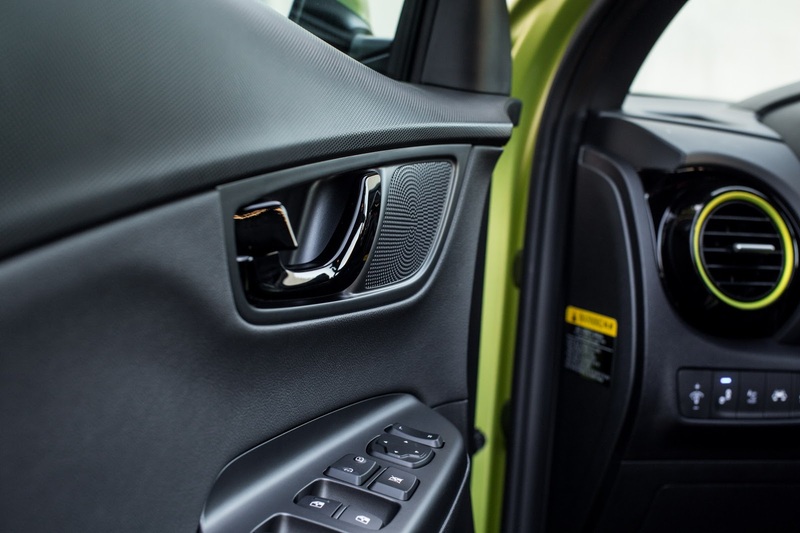 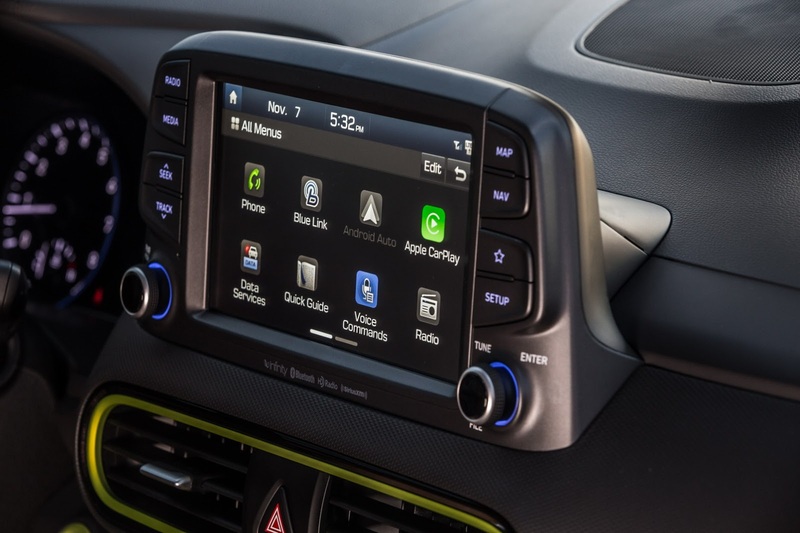 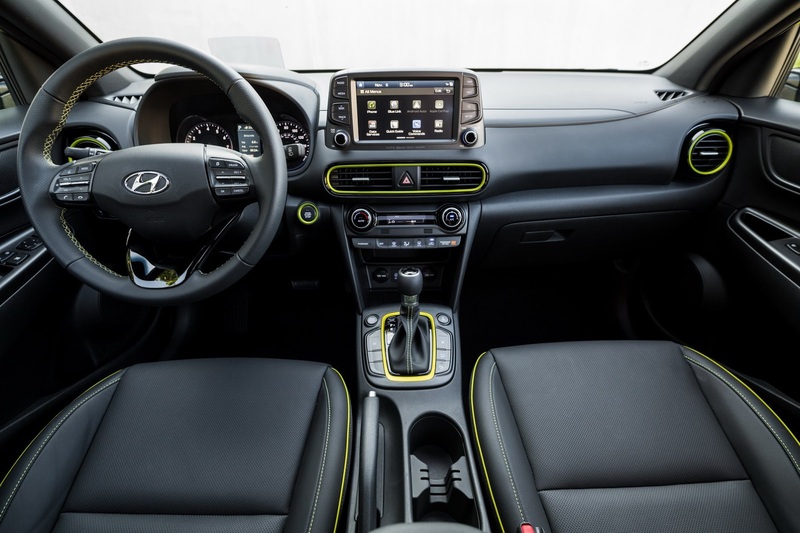 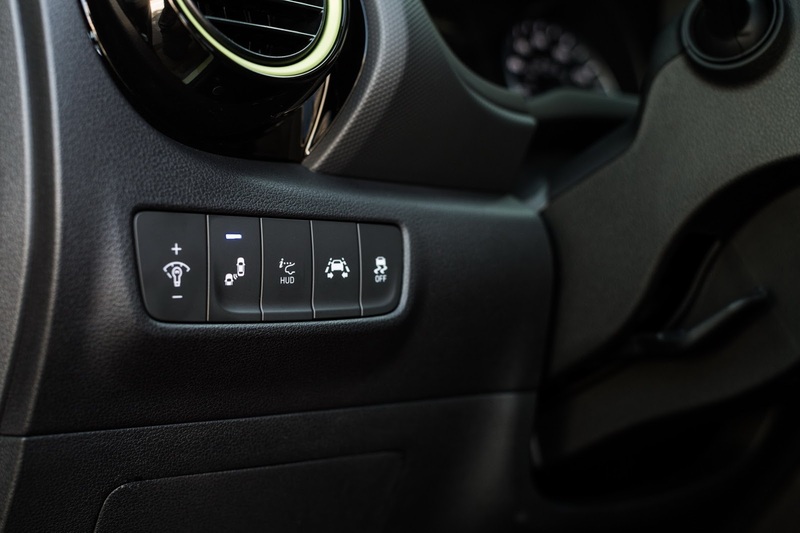 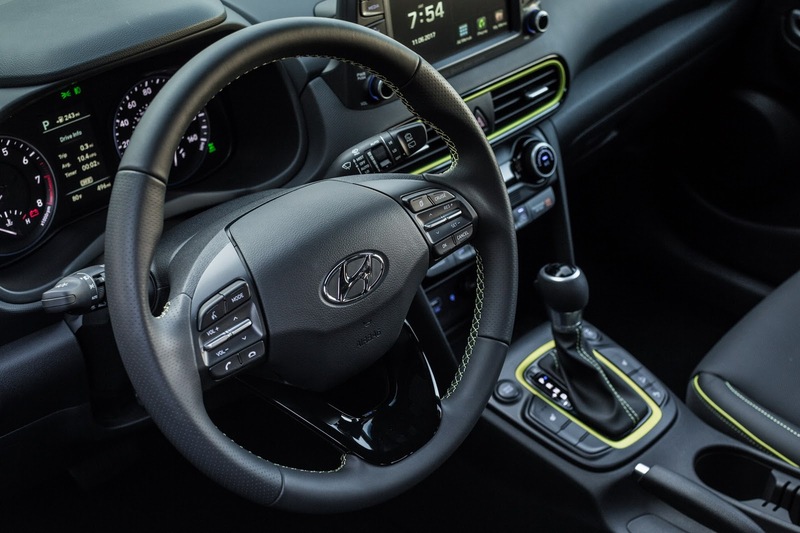 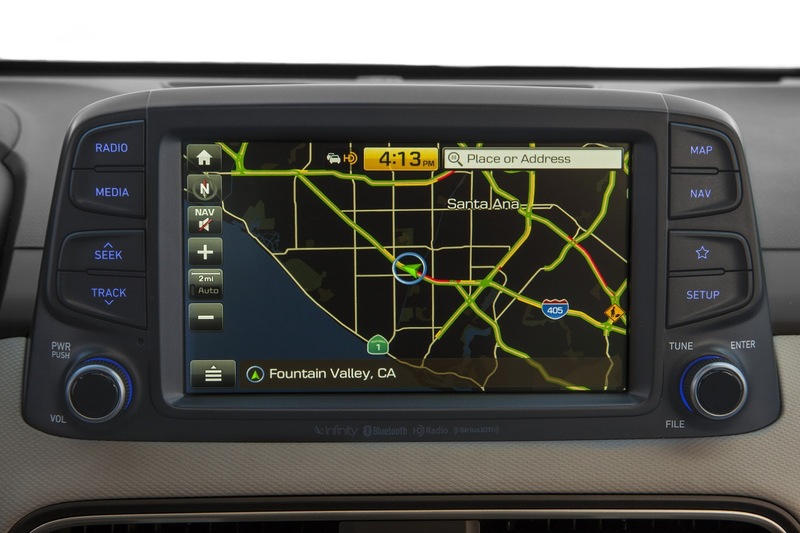 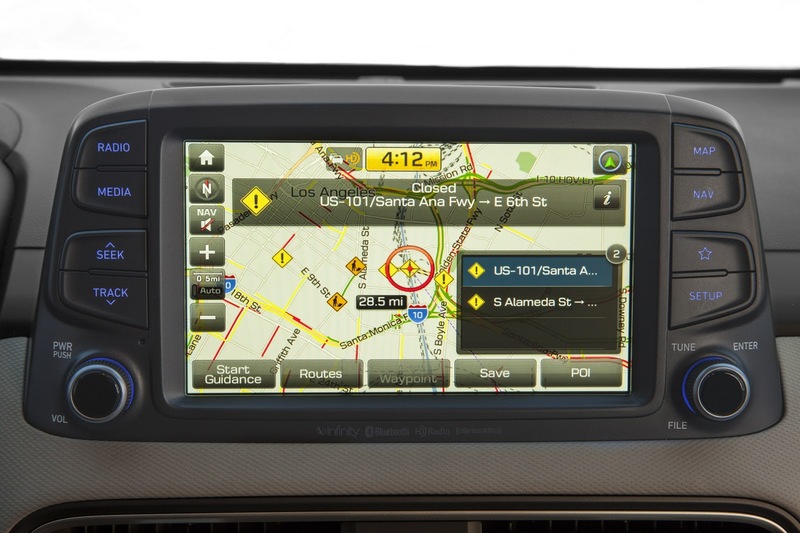 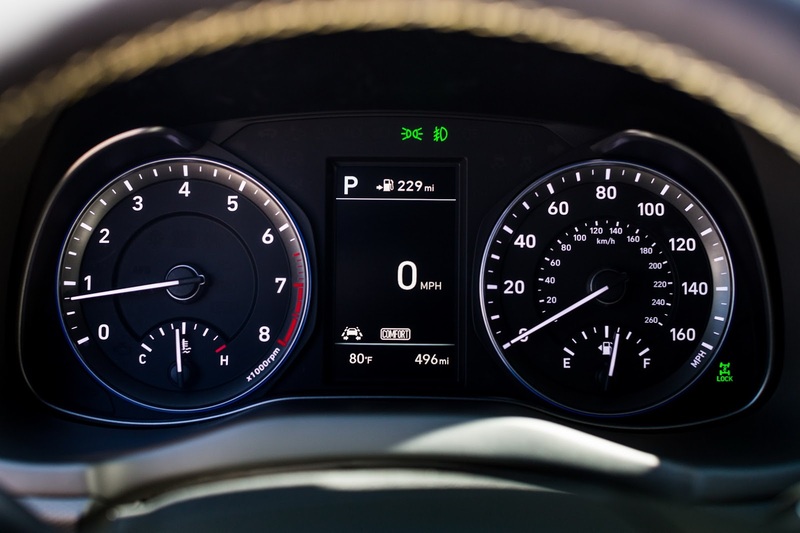 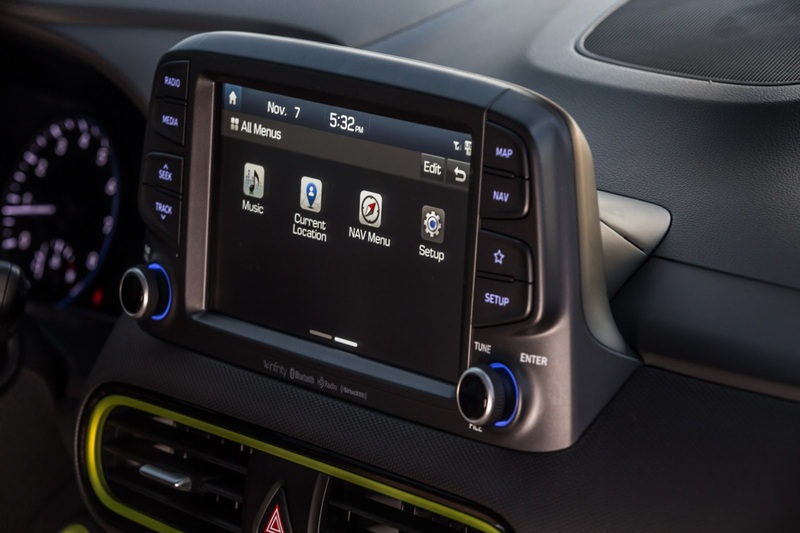 The interior features an eight-inch infotainment system with standard Android Auto and Apple CarPlay, as well as Sirius XM Radio, HD Radio and Blue Link LTE connectivity services. 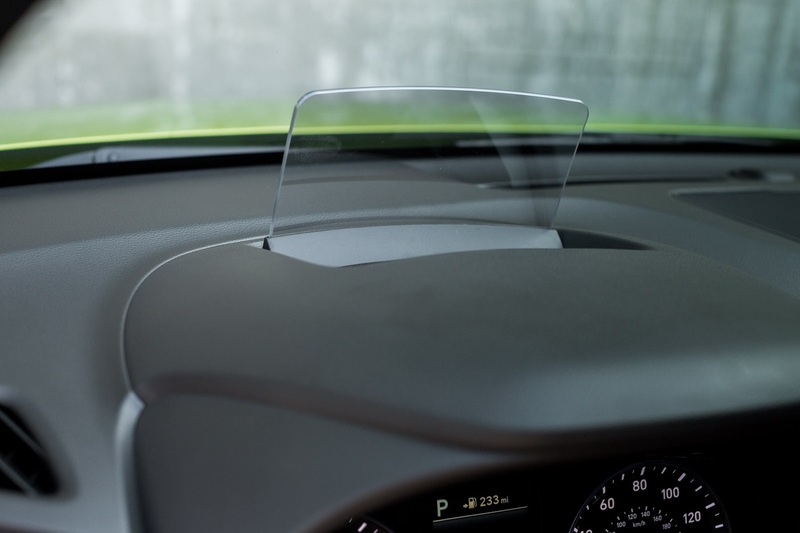 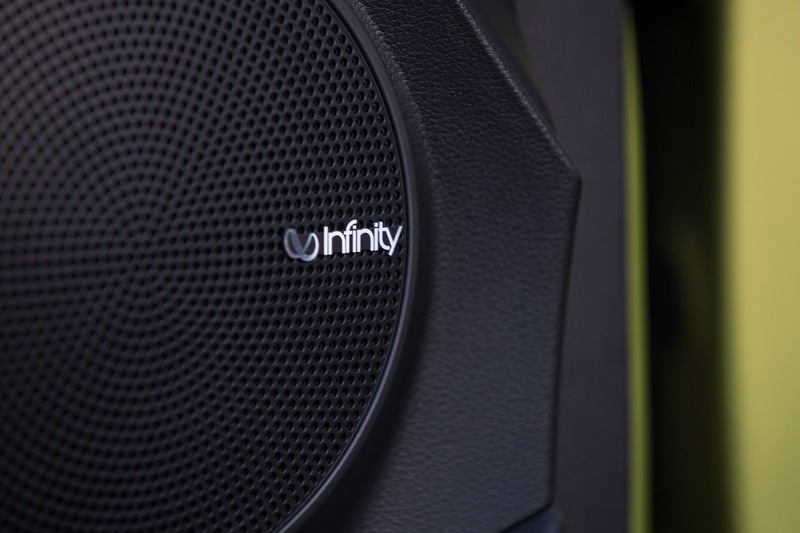 There’s also a wireless charging pad for smartphones, a heads-up display and more. 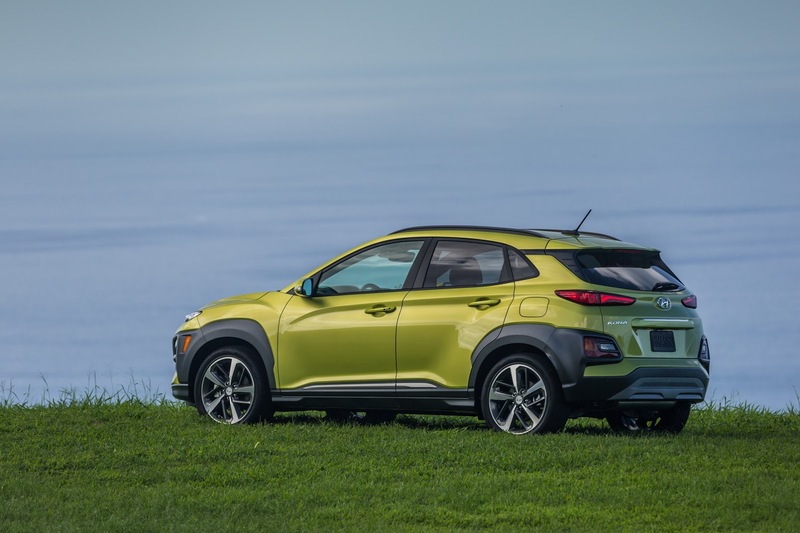 The 2018 Hyundai Kona will arrive at dealers in the first quarter of 2018, with pricing details to be announced closer to its market launch.